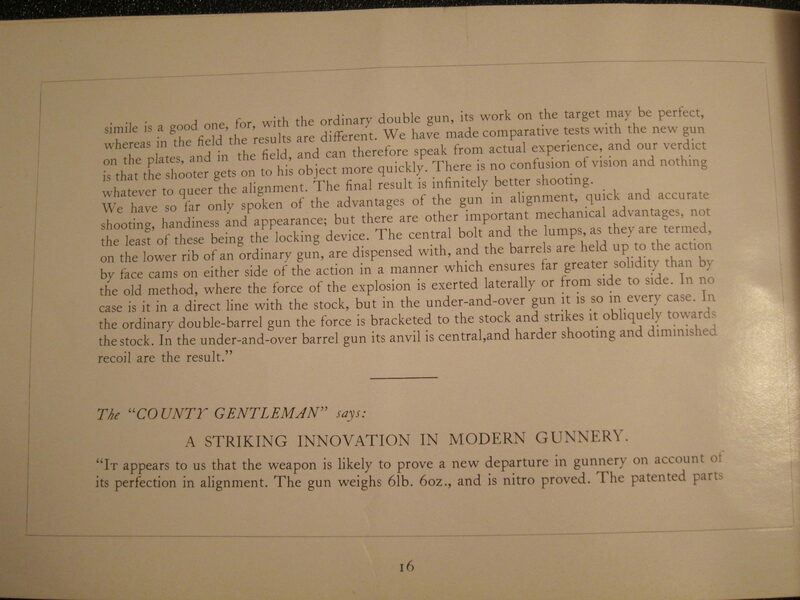 “A Striking Innovation in Modern Gunnery”! 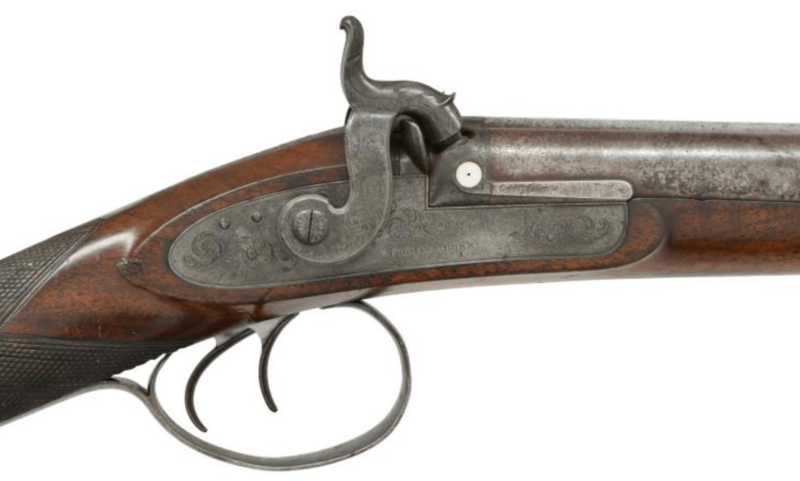 Not all revolutions happen quickly. 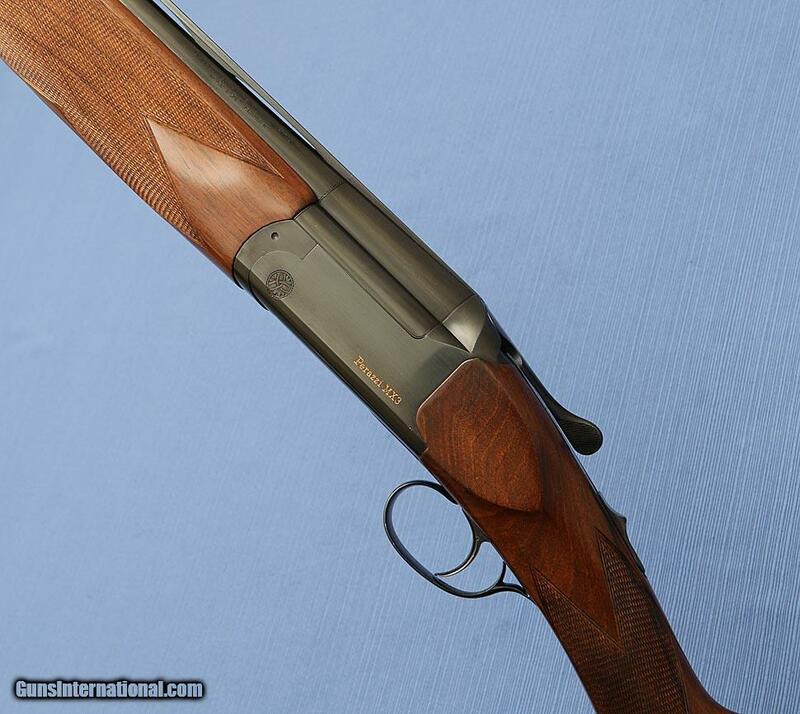 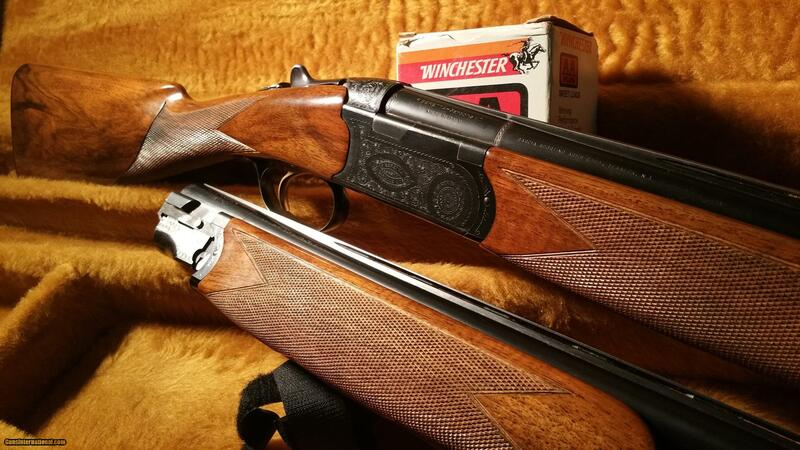 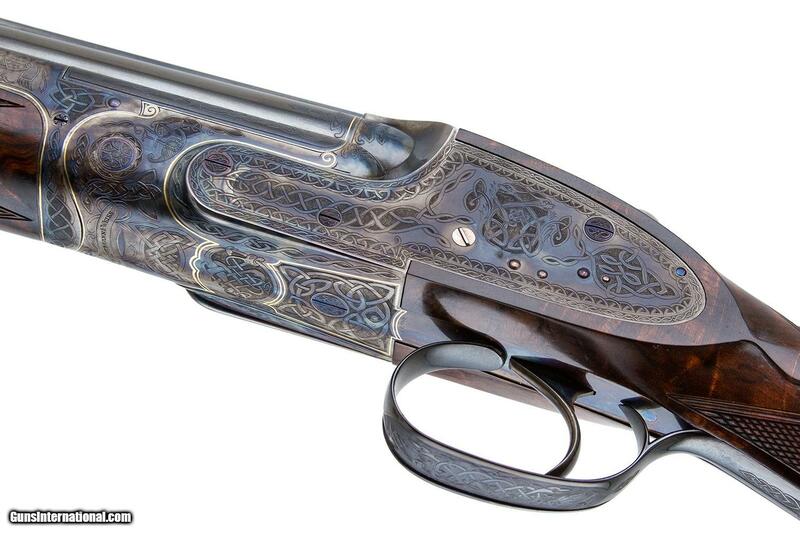 Some, like the way over-under shotguns overcame SxSs to dominate the world of doubles, took decades to happen. 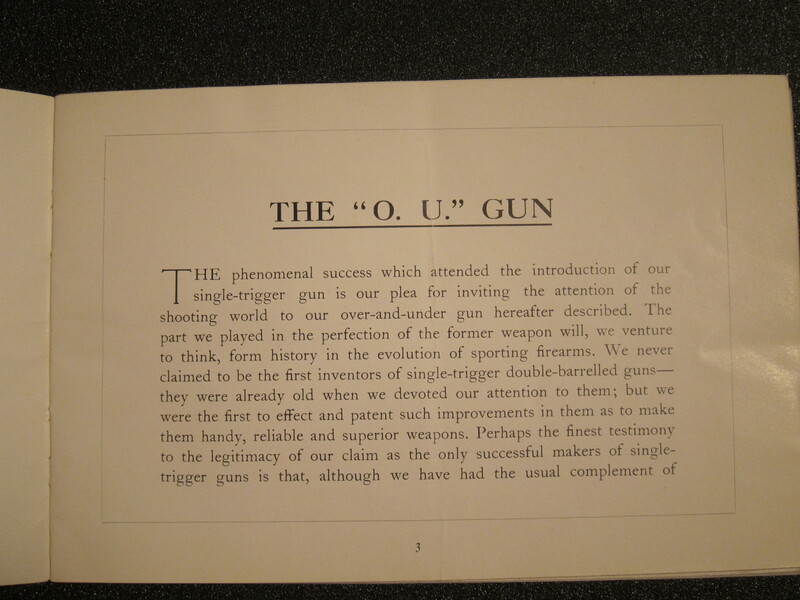 In many ways, the over-under revolution began in 1909. 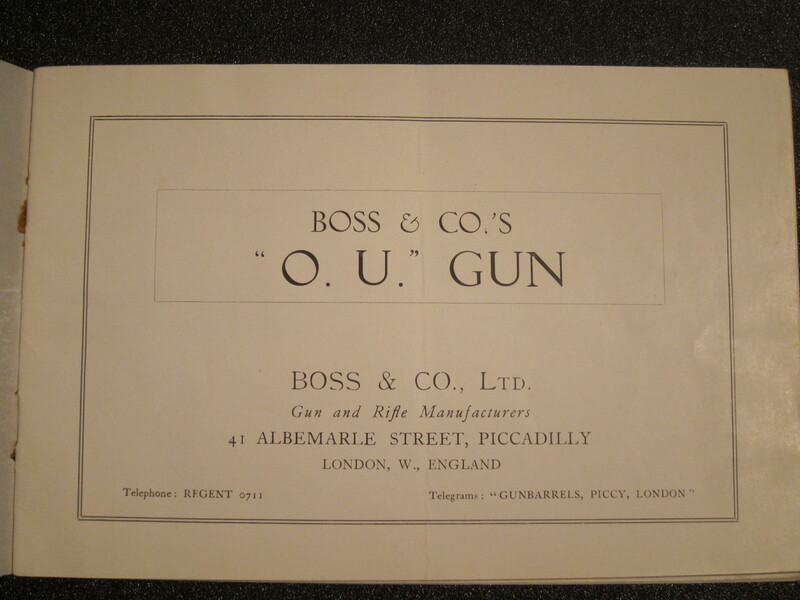 That’s when Boss & Co introduced its OU. 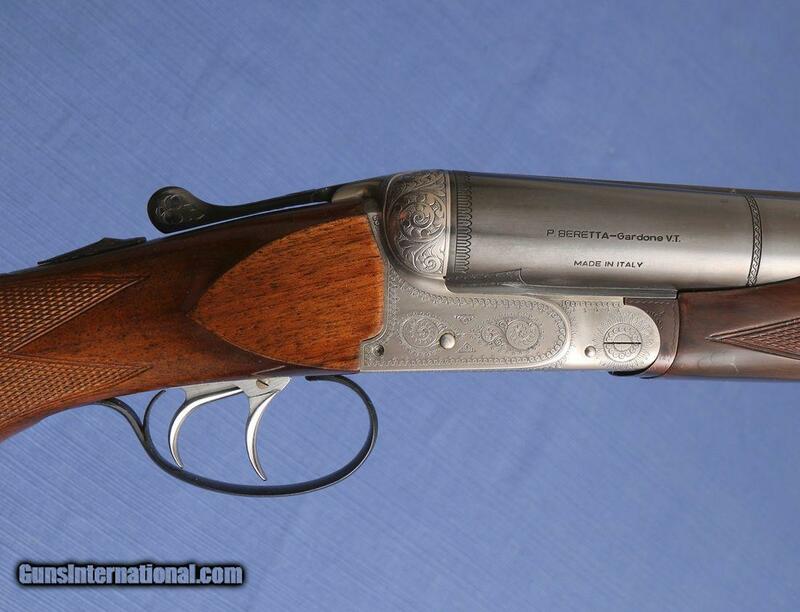 While Boss & Co didn’t invent these shotguns, they did perfect it. 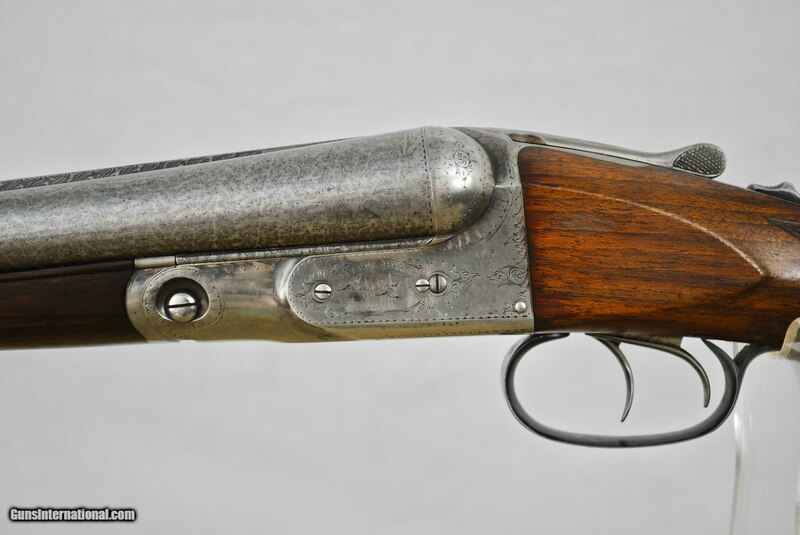 Firearms with stacked barrels have been around for hundreds of years, and Merkel started building breechloading, centerfire OUs in the 1890s. 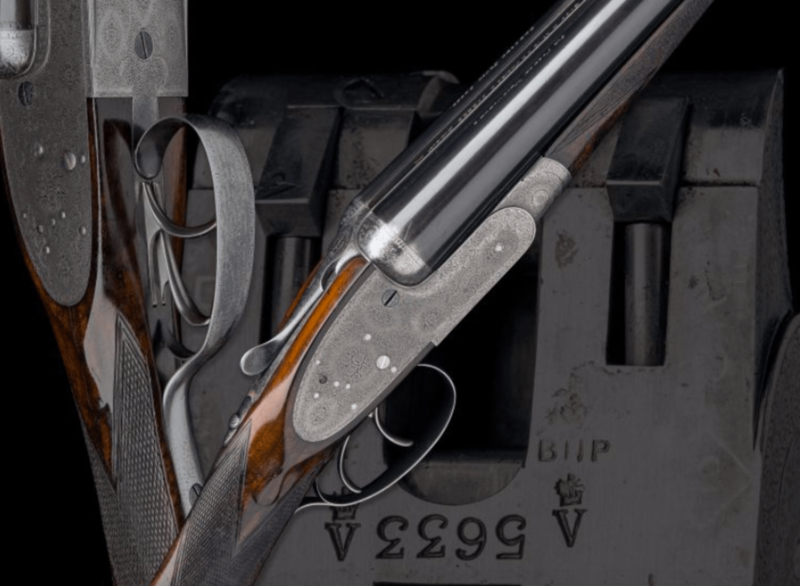 But Boss was the first gunmaker to build an OU with the sleek looks and a dynamic feel that could compete with best-quality British side-by-sides. 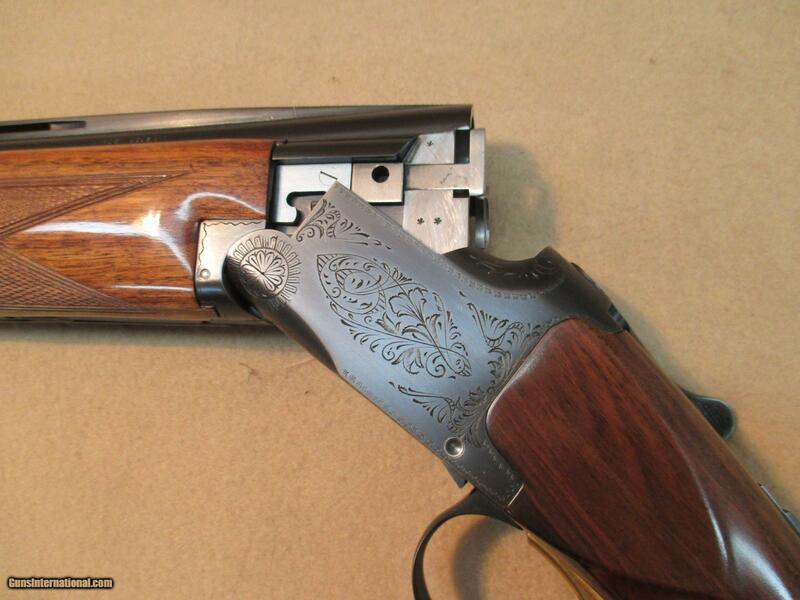 To date, Boss has built 500+ OUs. 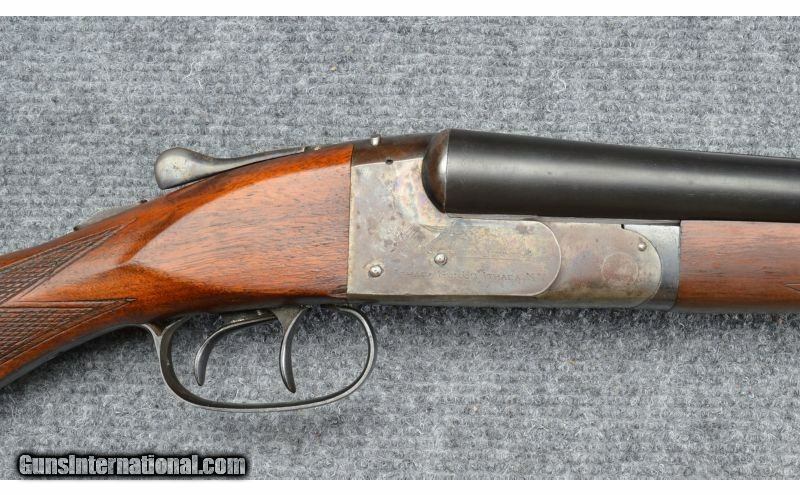 It’s not that hard to find them on the used market. 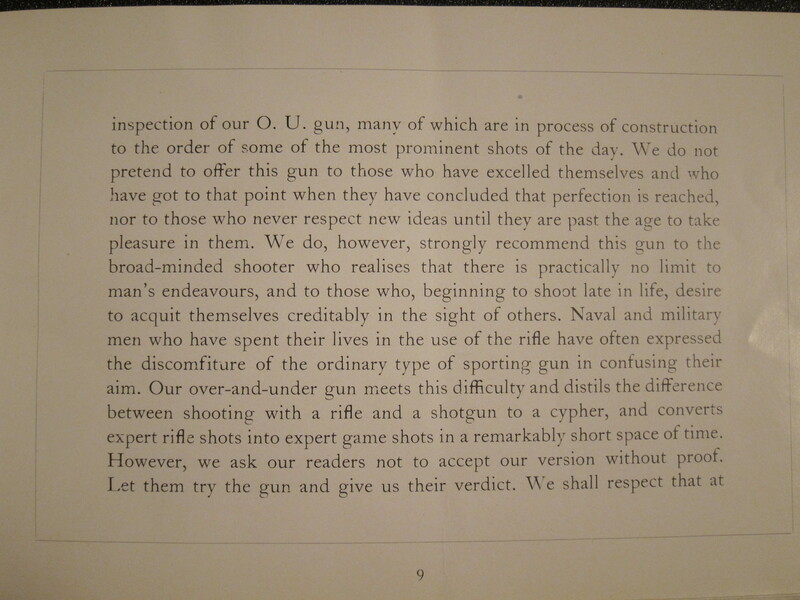 That is not the case with the Boss OU catalog you see here. 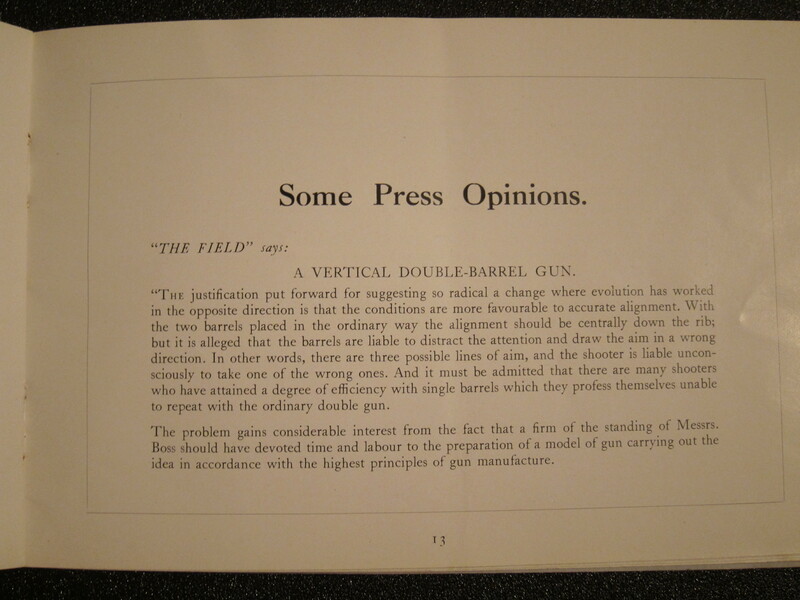 This is the only copy of this 1930s-era catalog I’ve seen in two decades. 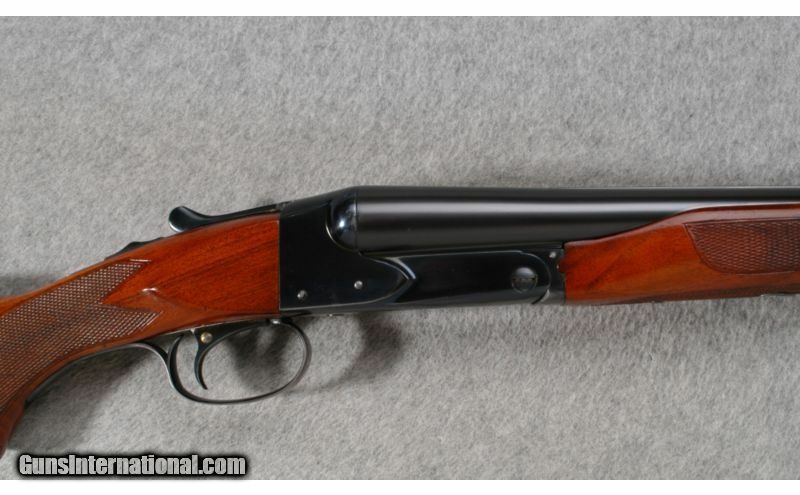 Check it out for a unique glimpse into how Boss sold their OU shotguns back in the day. 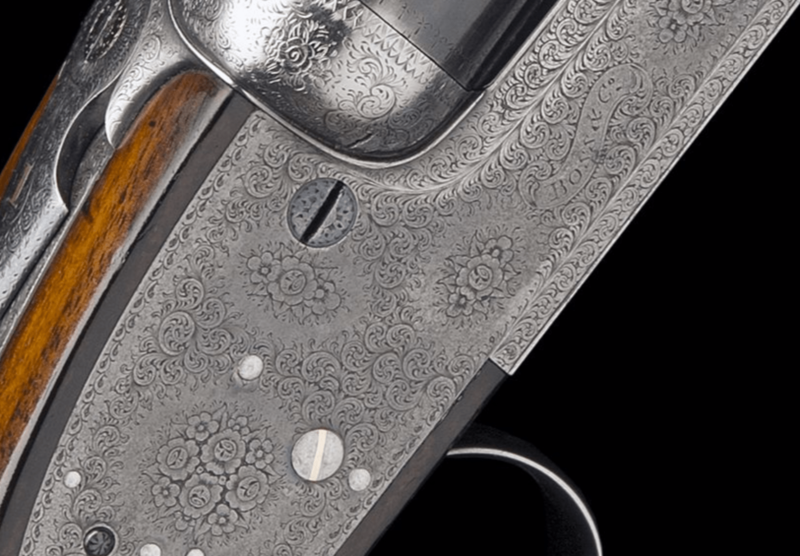 Boss & Co is one of my favorite gunmakers–and for good reason. 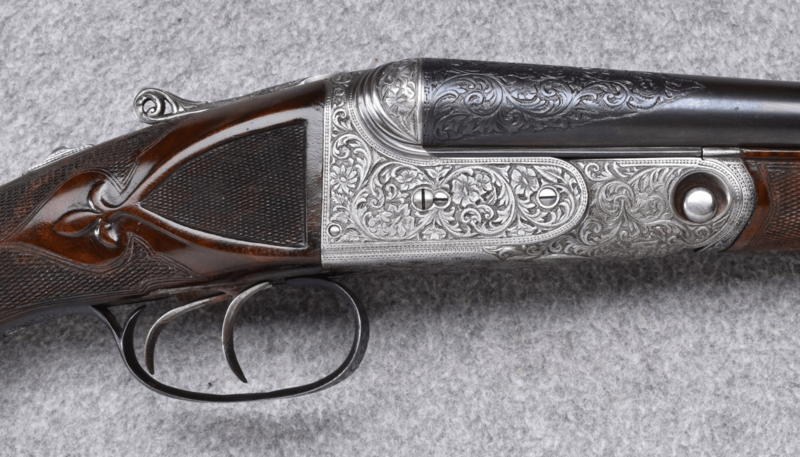 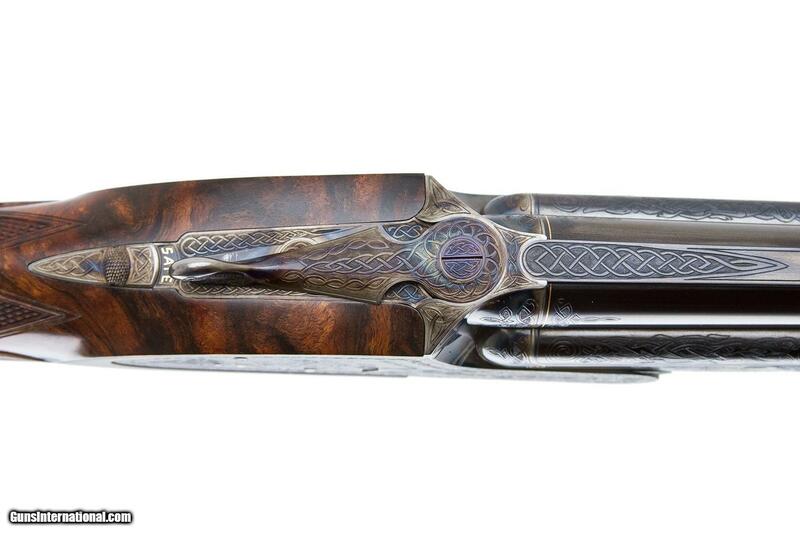 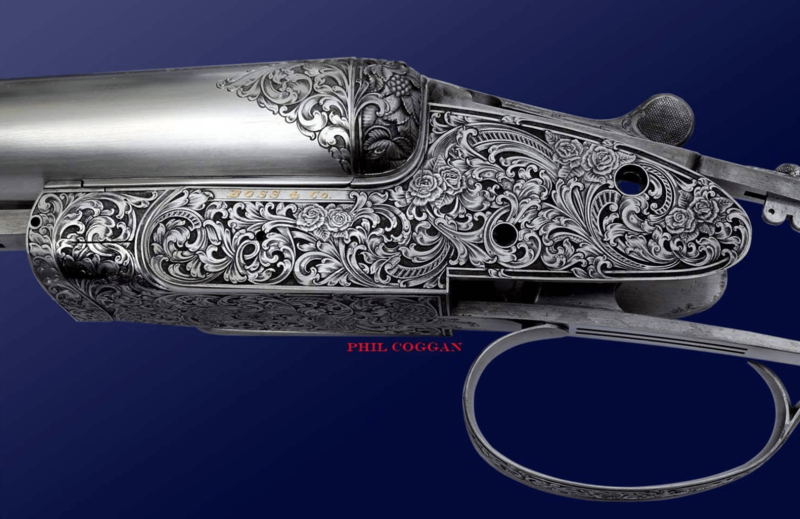 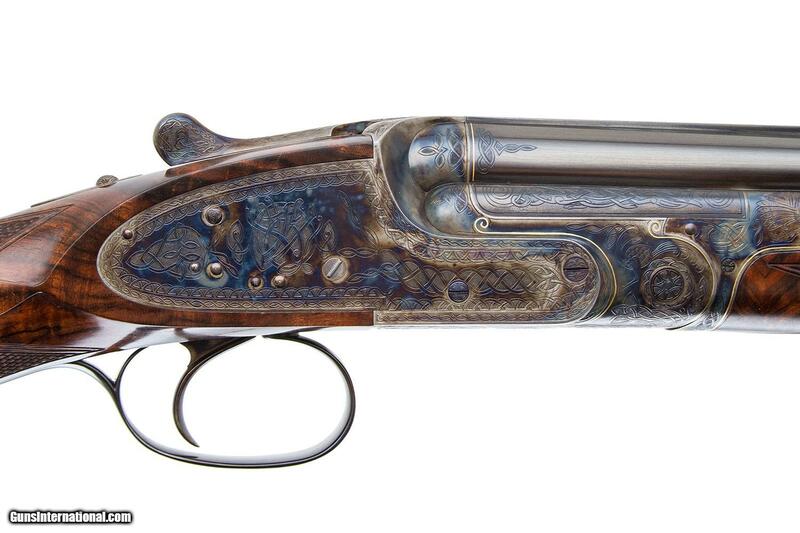 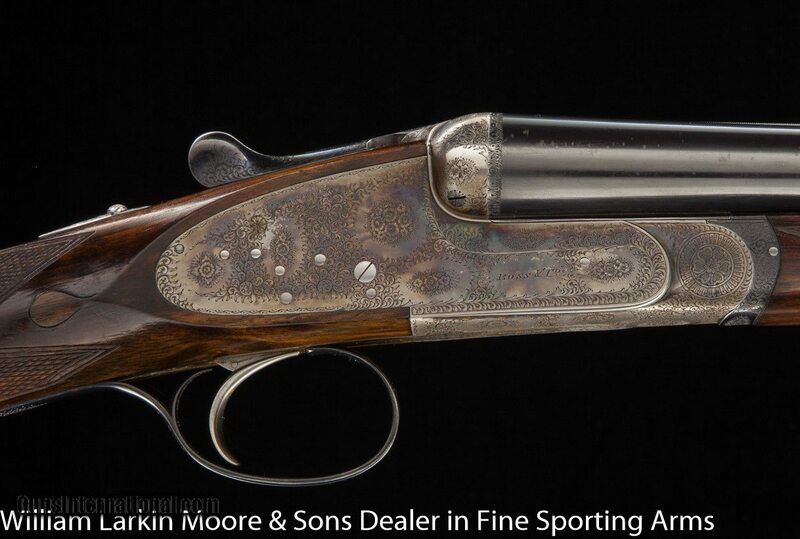 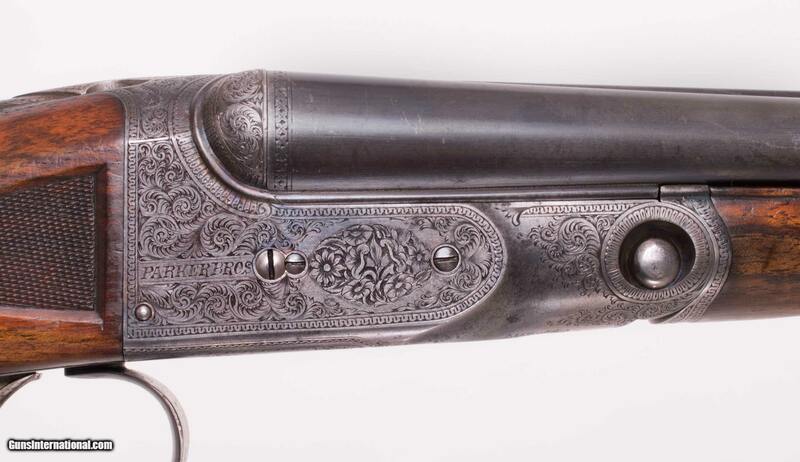 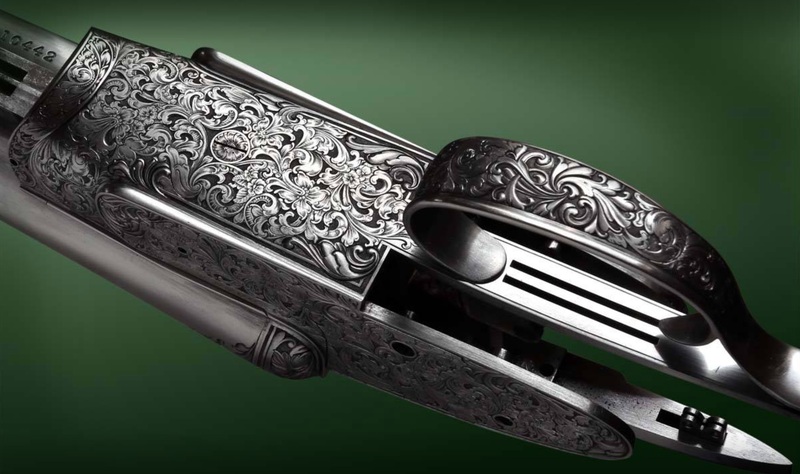 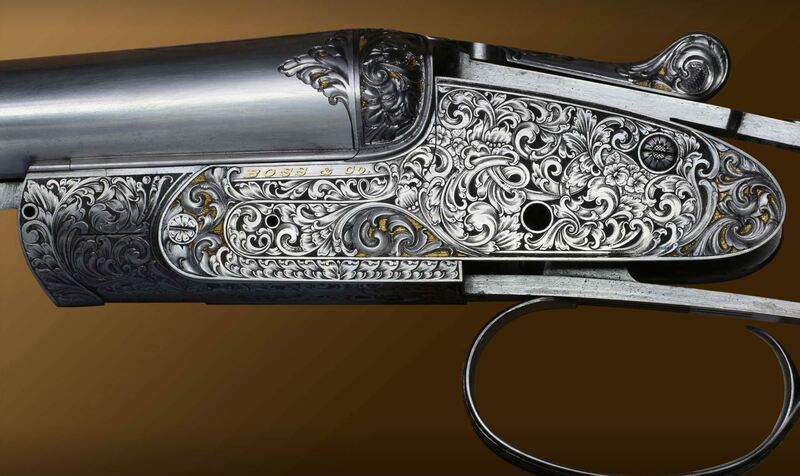 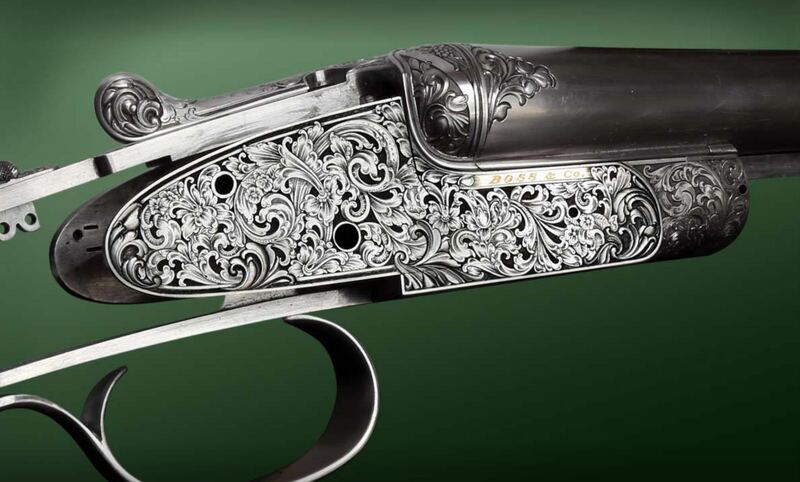 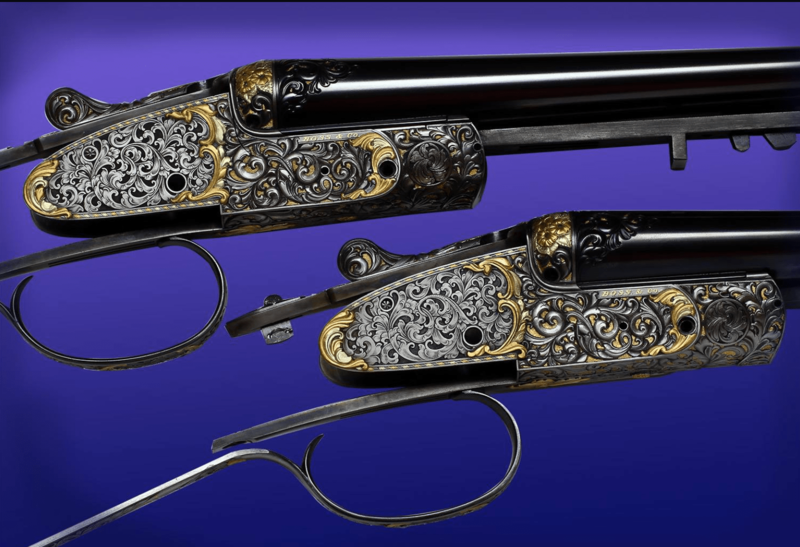 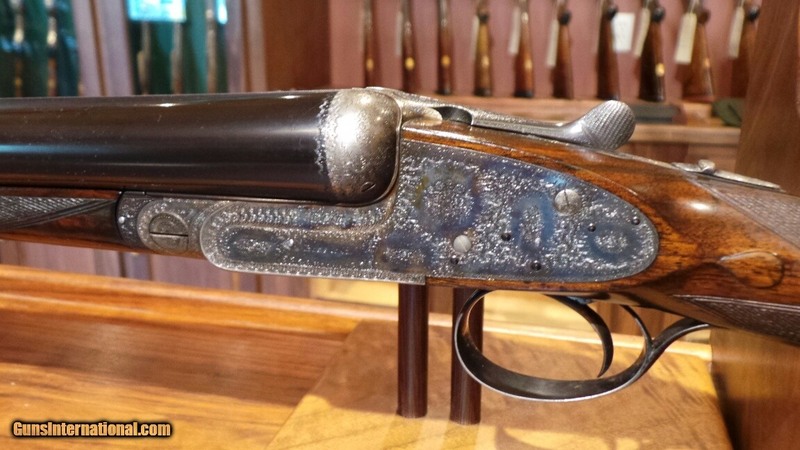 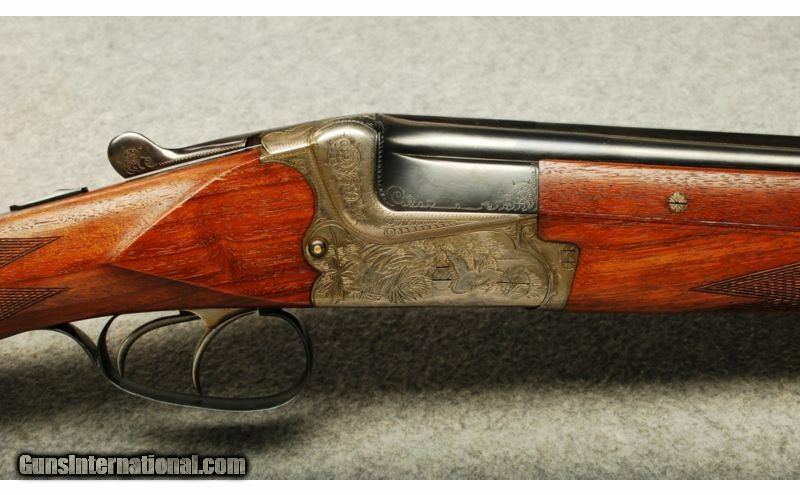 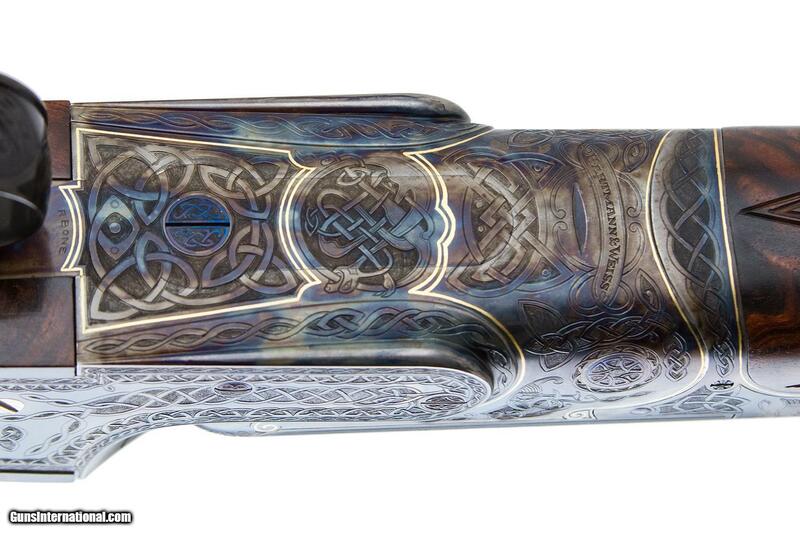 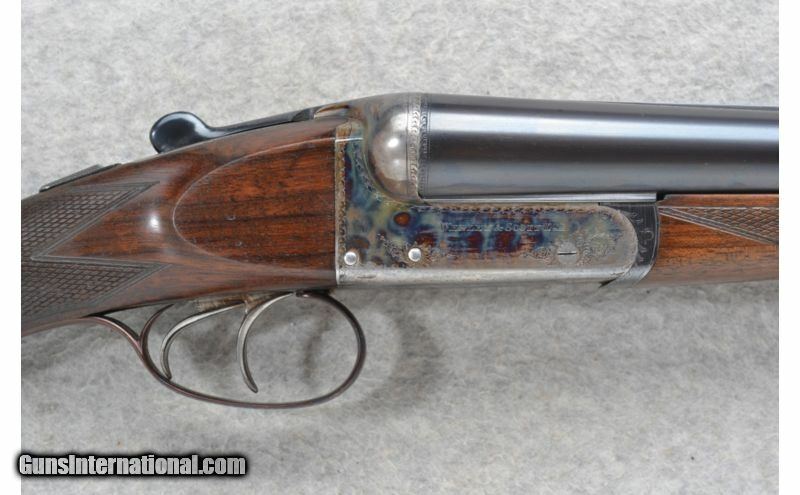 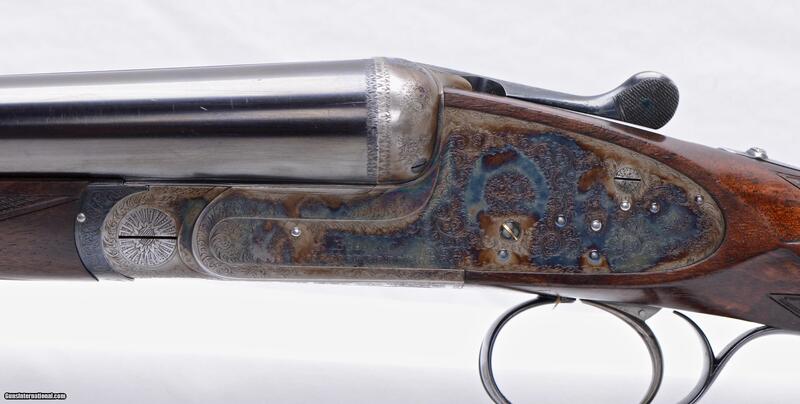 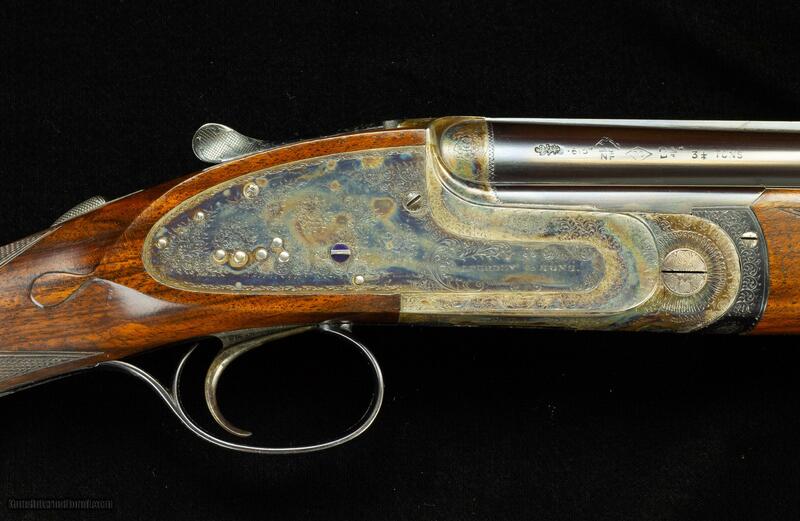 Not only have they made some of the most beautiful and finest shotguns and rifles ever, but during their Robertson era, they were also innovators. 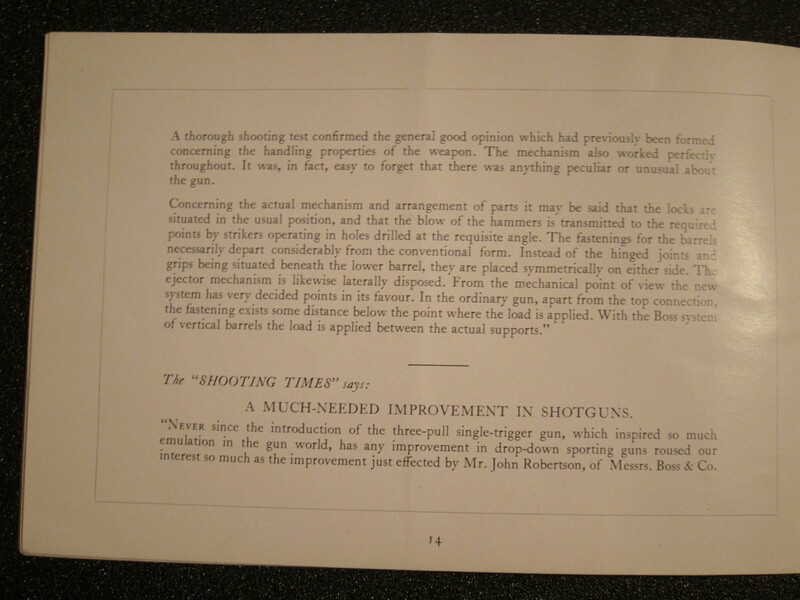 One of their greatest creations was the Boss single trigger, developed by Robertson in the 1890s. 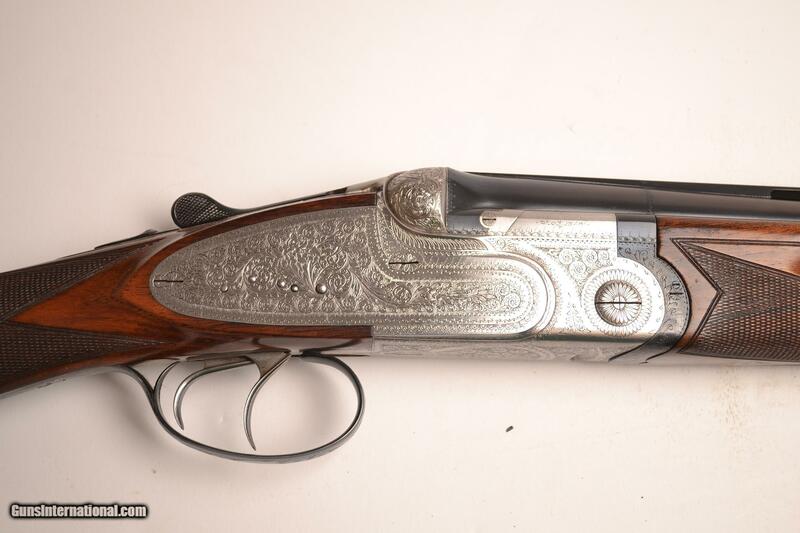 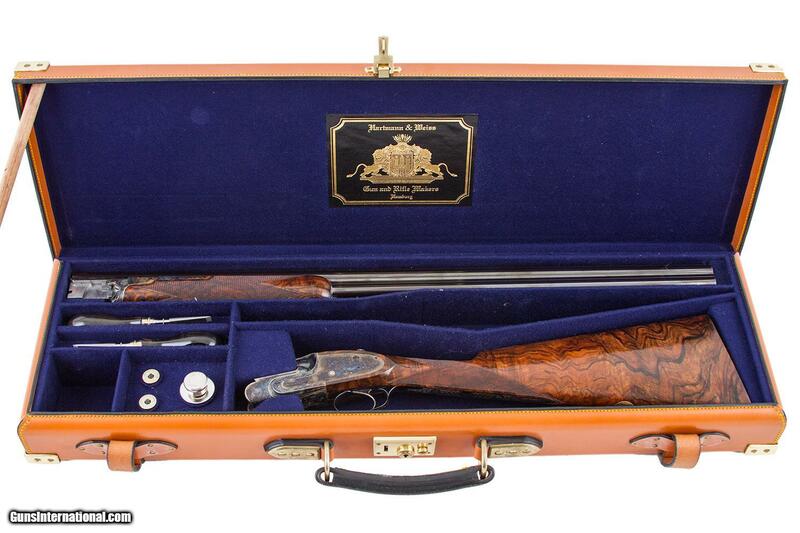 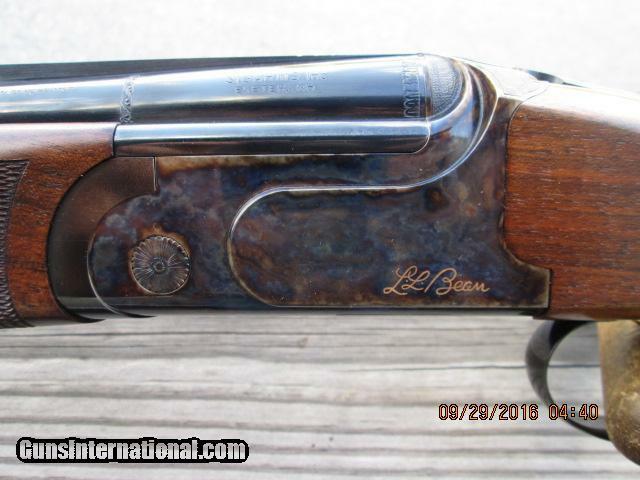 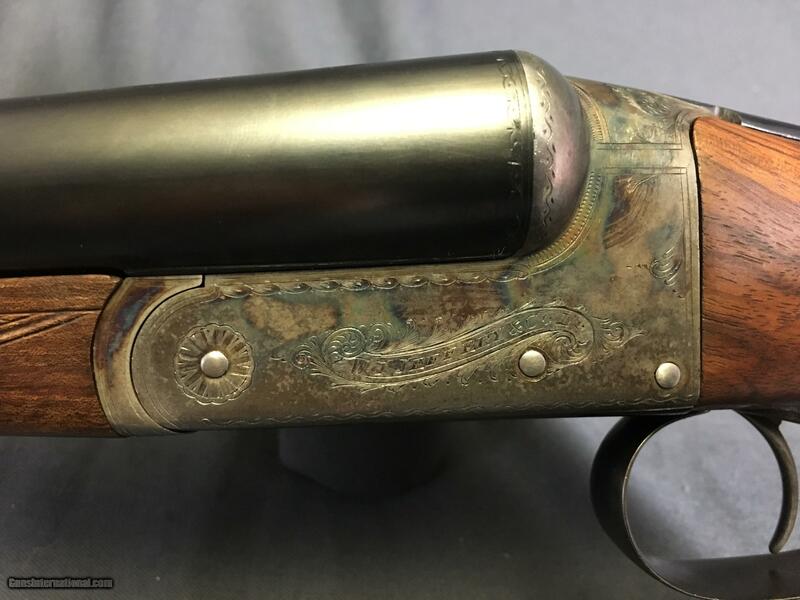 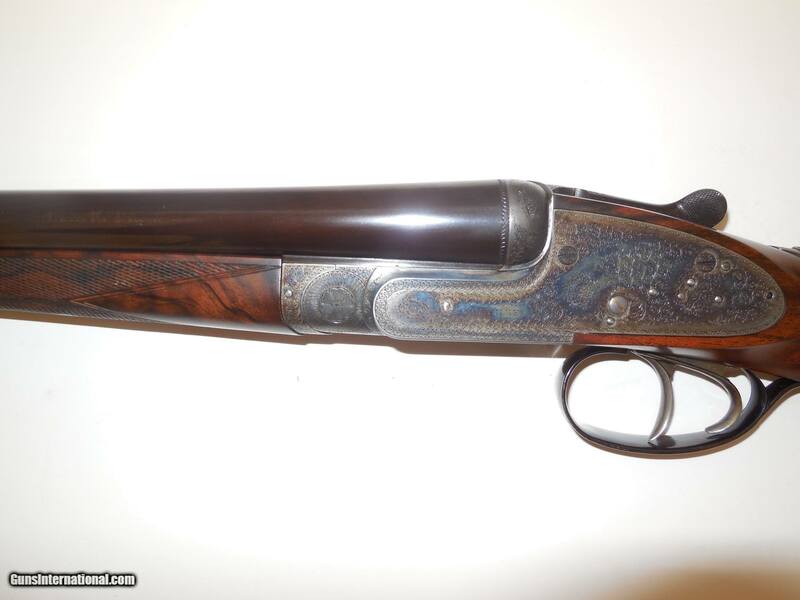 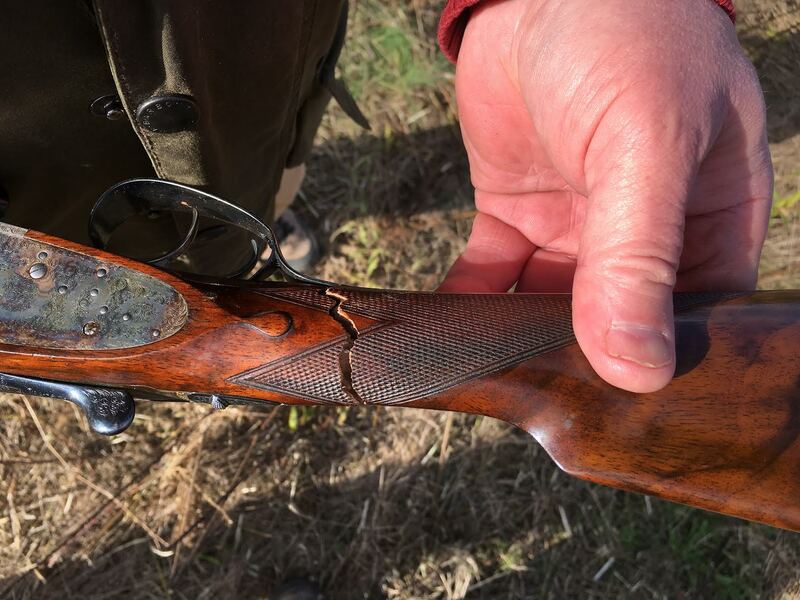 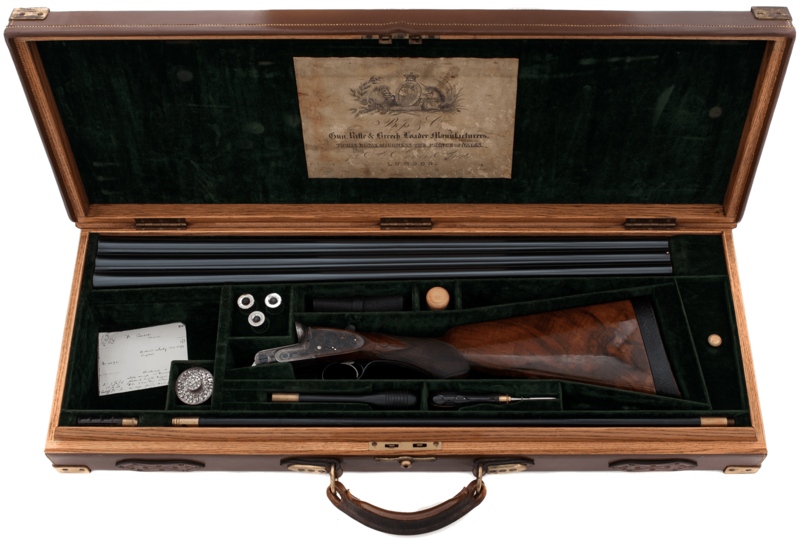 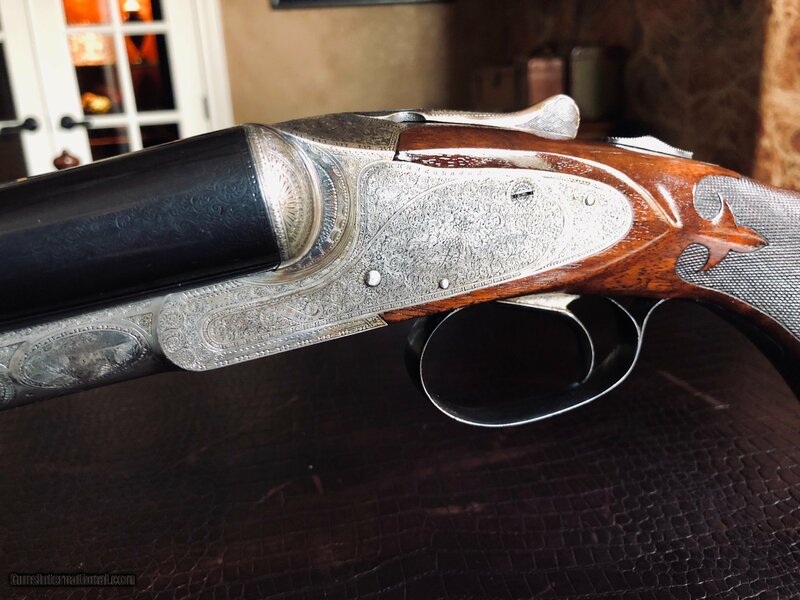 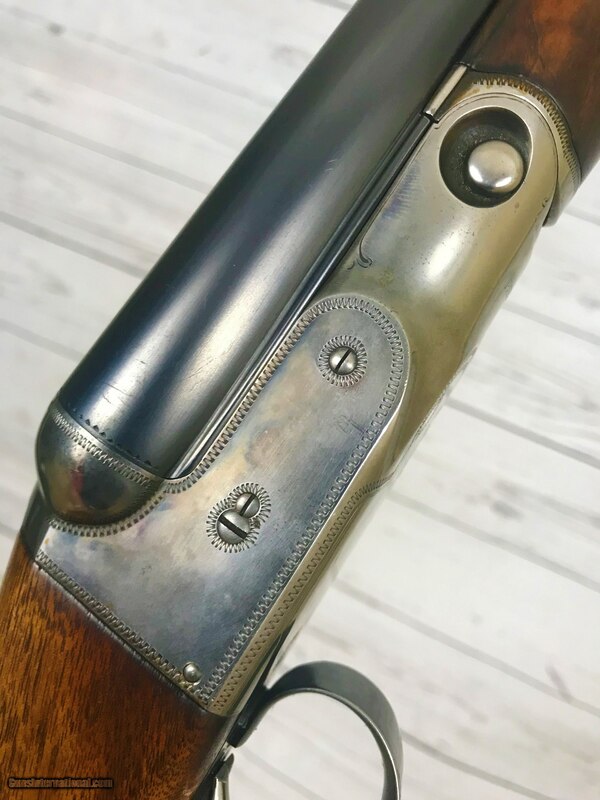 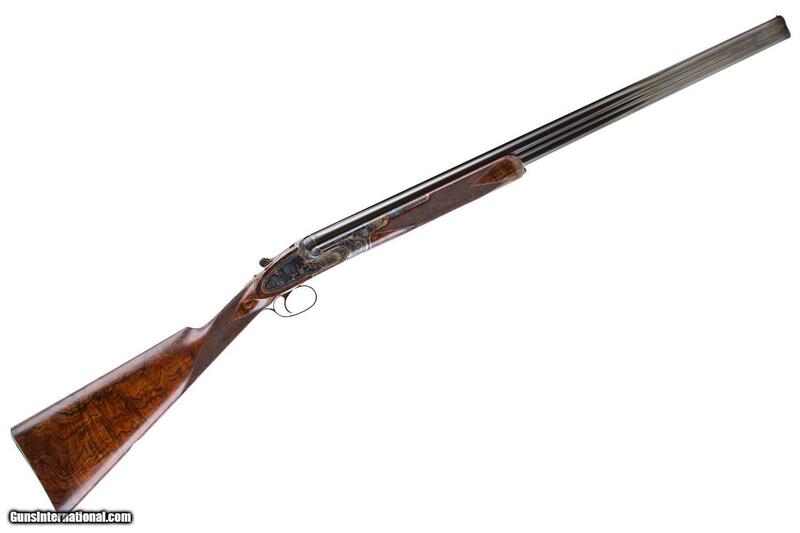 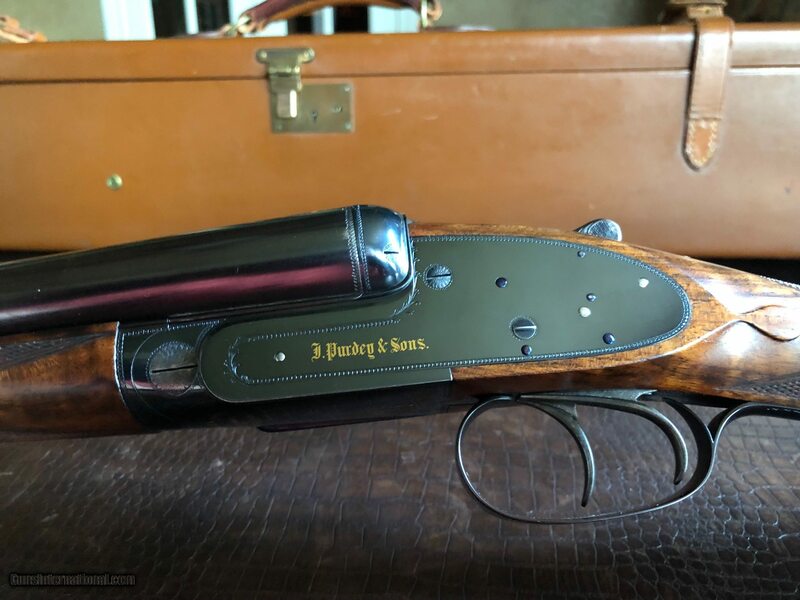 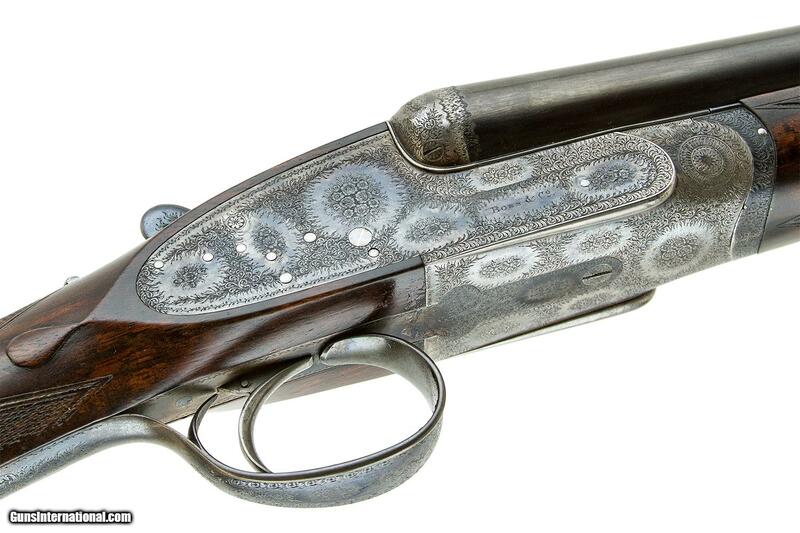 “As a promotion for his single trigger, Robertson engineered among the most important shotguns to emerge from the Boss & Co. London workshop in the company’s 205-year history: the triple-barrel SxSxS that incorporated a single trigger. 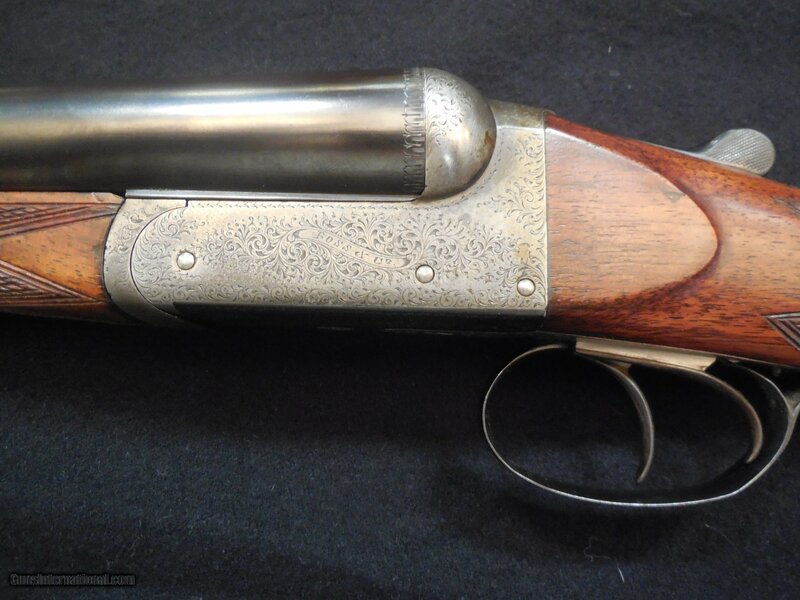 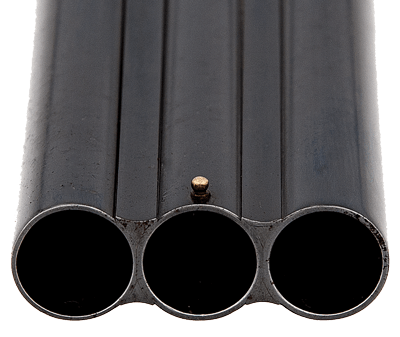 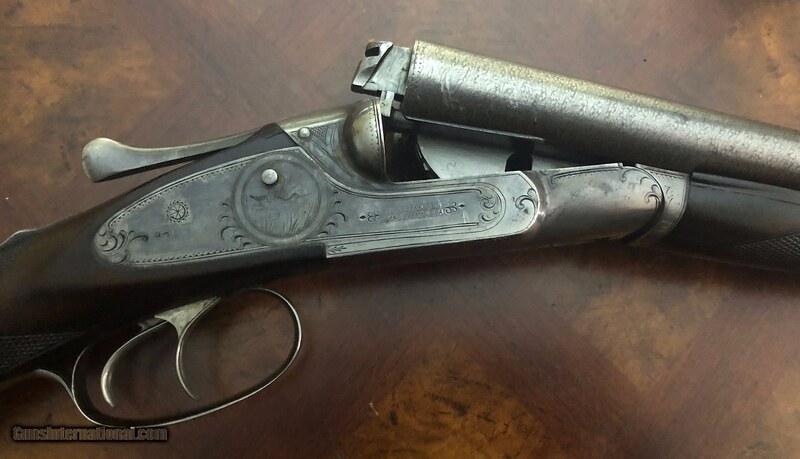 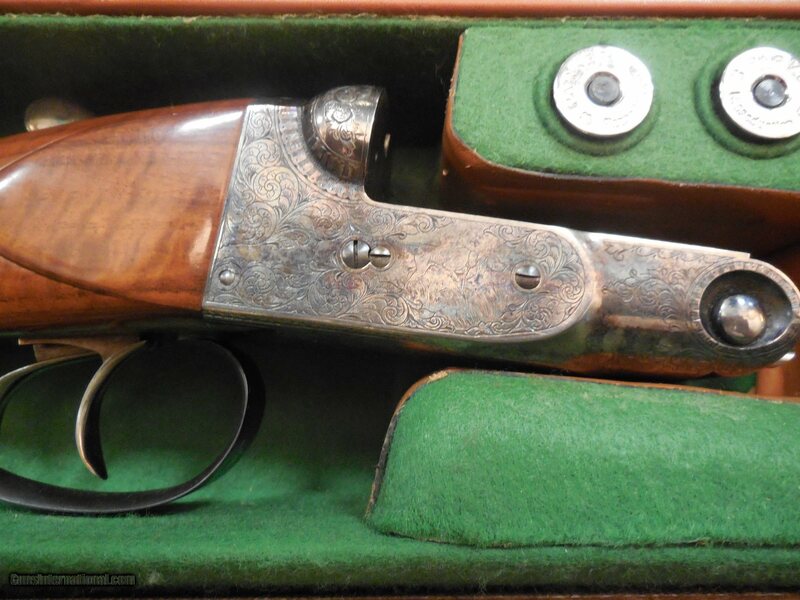 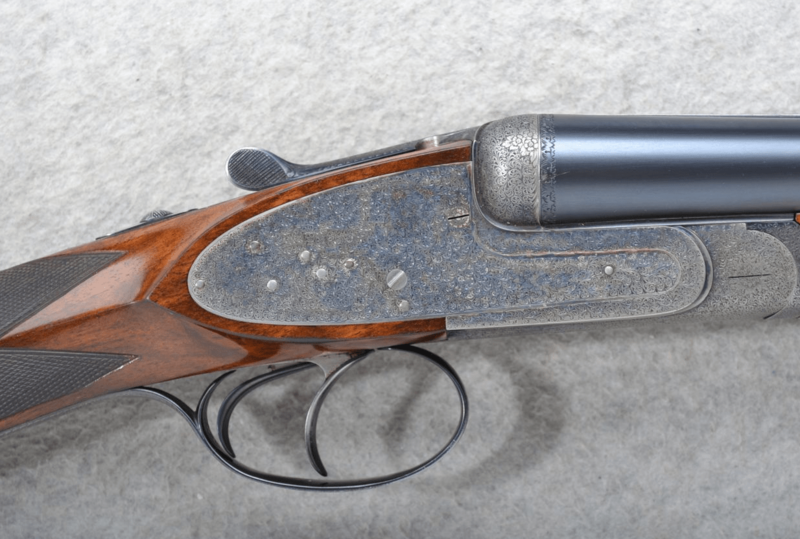 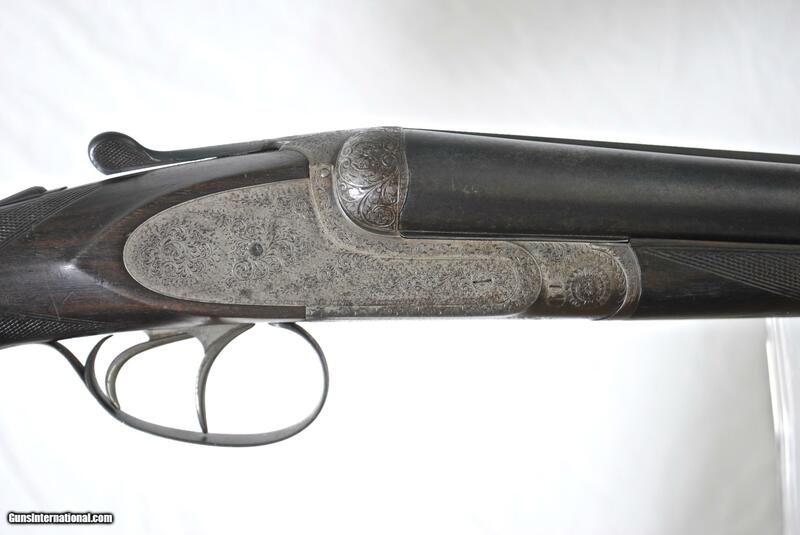 Although a marvel of ingenuity, the shotgun actually reveals the lengths that Robertson went in order to demonstrate the feasibility and safety of the single trigger to a skeptical marketplace. 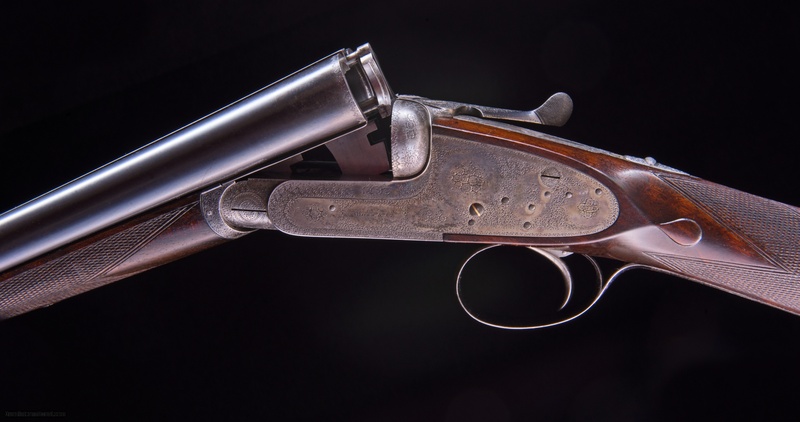 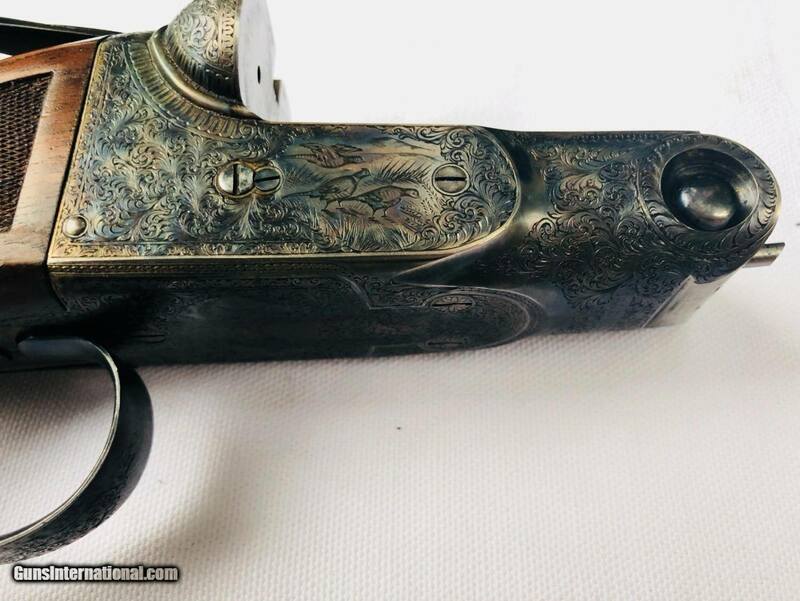 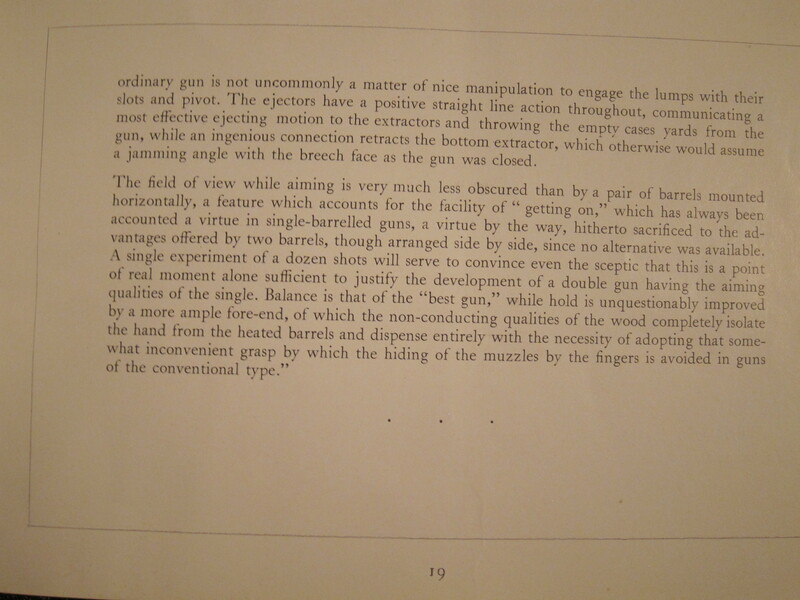 Robertson certainly wasn’t the first gunmaker to experiment with a single trigger. 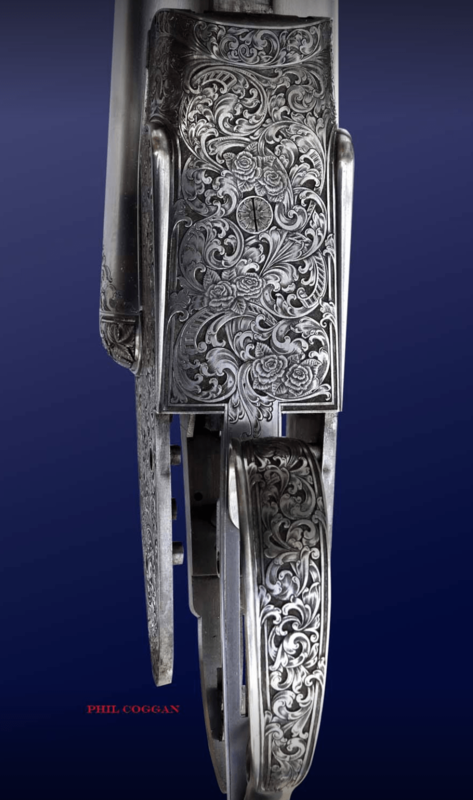 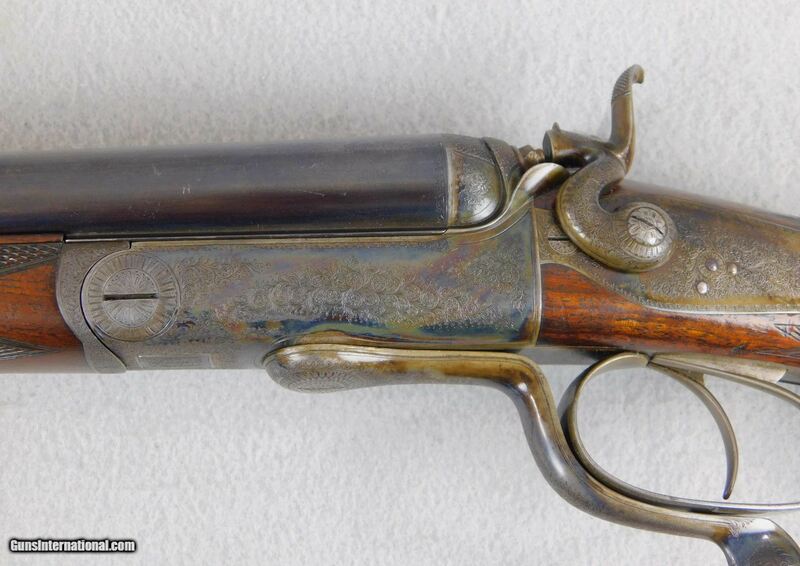 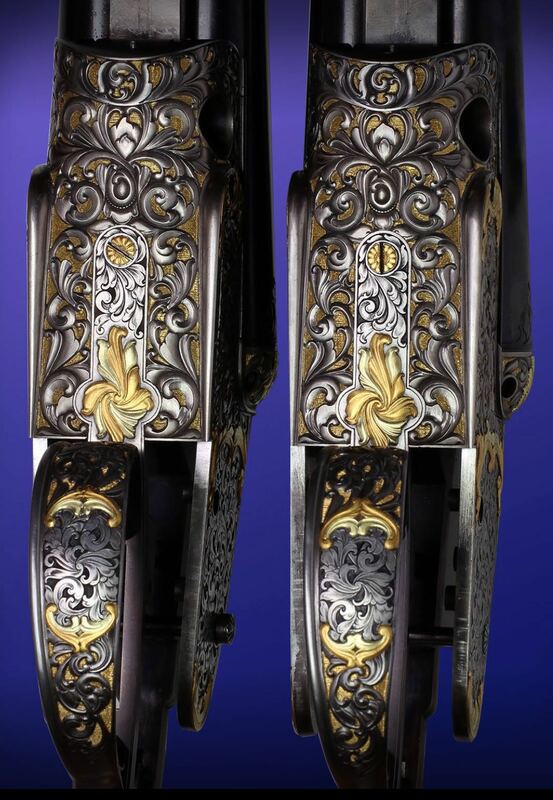 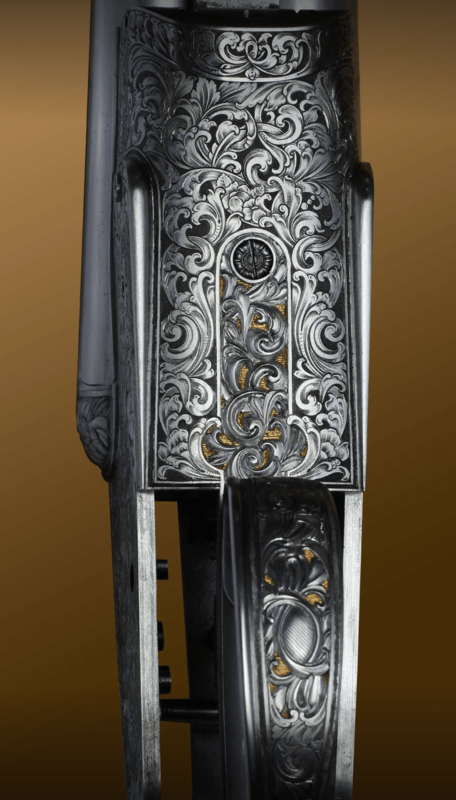 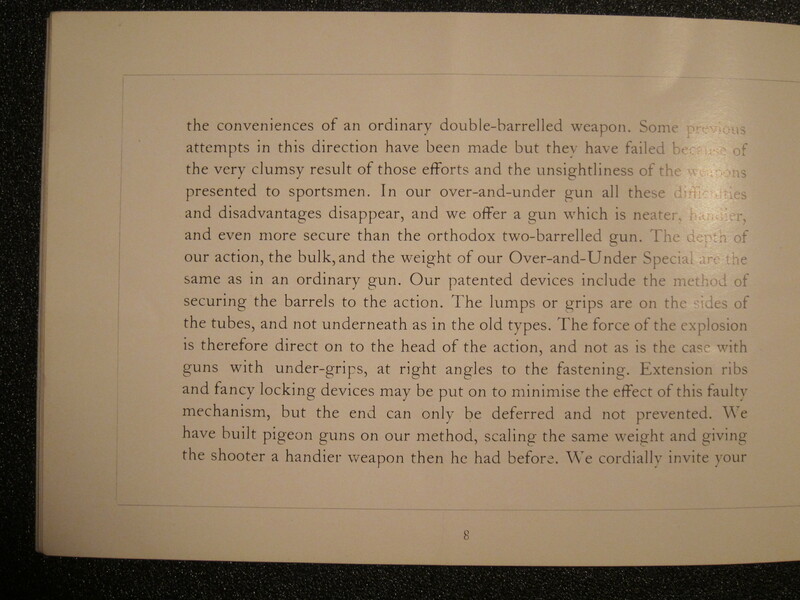 Single-trigger sporting guns had been tinkered with by various gunmakers as far back as the late 17th century. 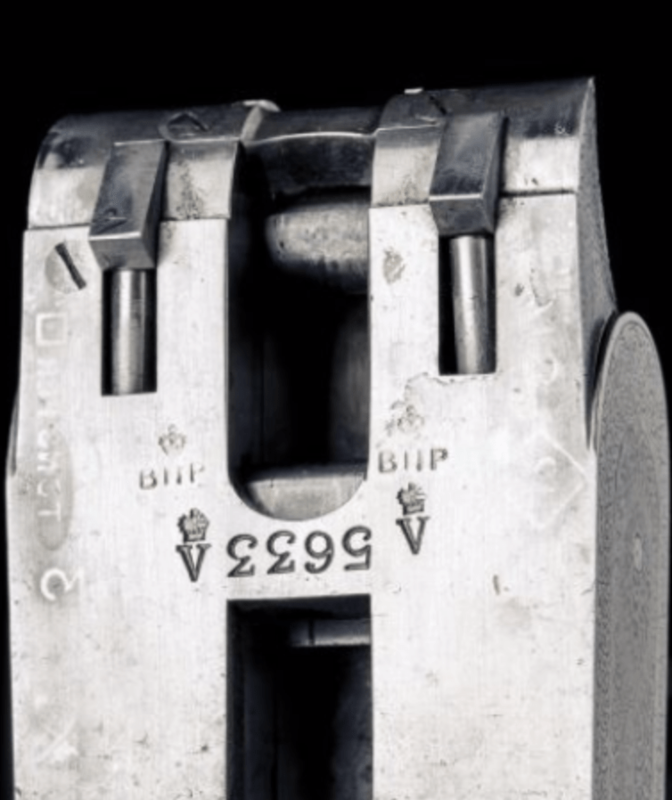 An array of patents had been filed for them in England. 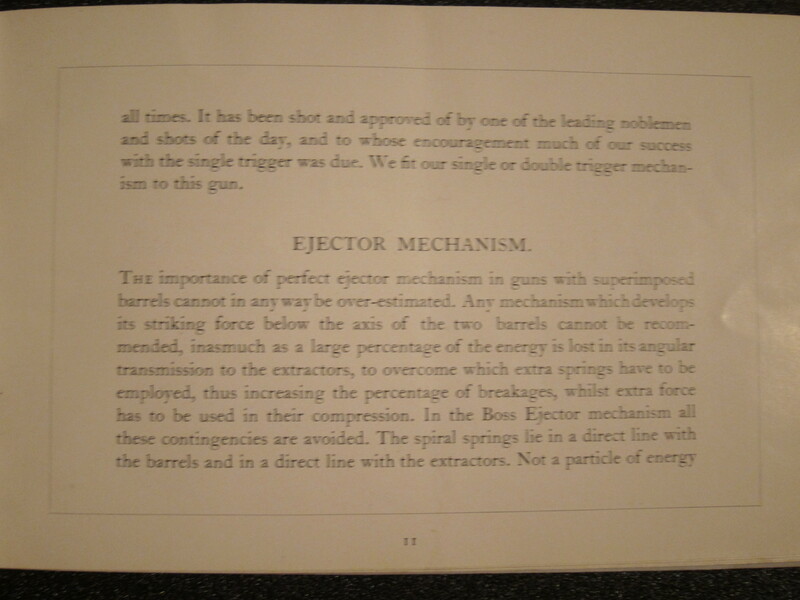 Between 1893 and 1895, however, Robertson had applied for three single-trigger patents, each more sophisticated than the previous. 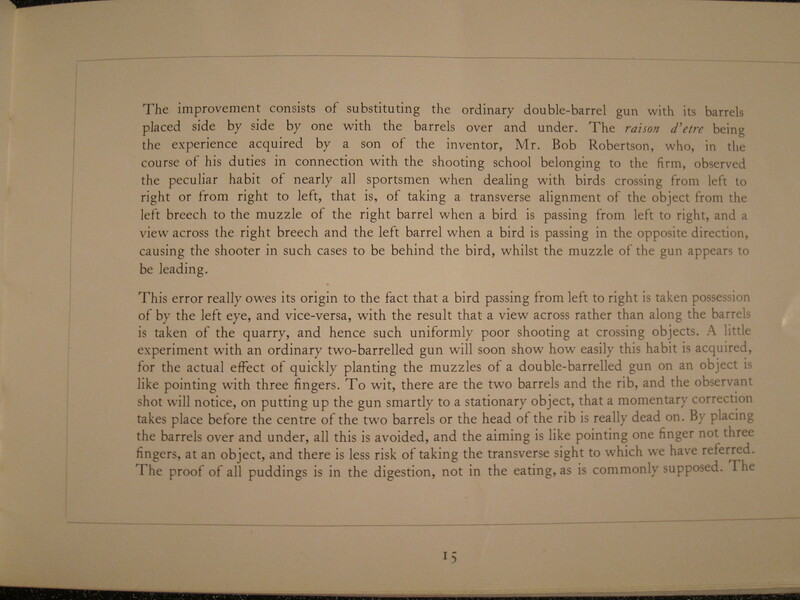 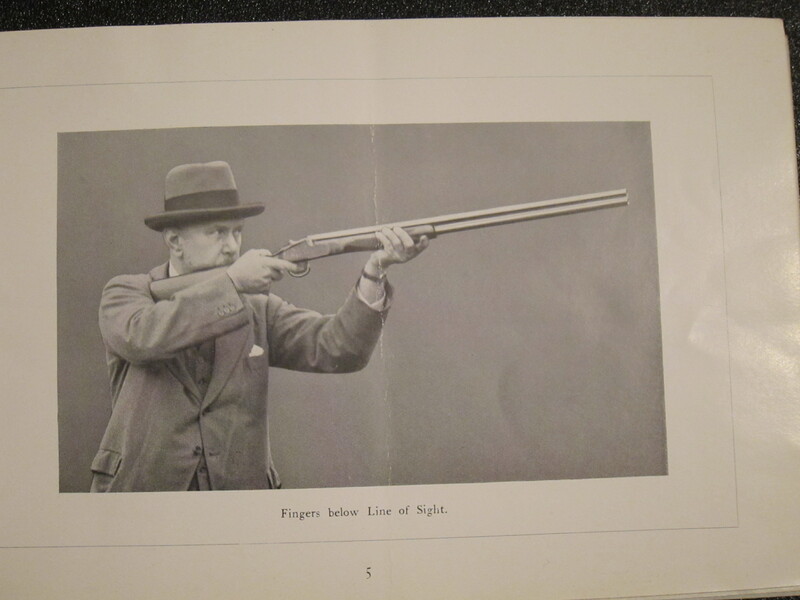 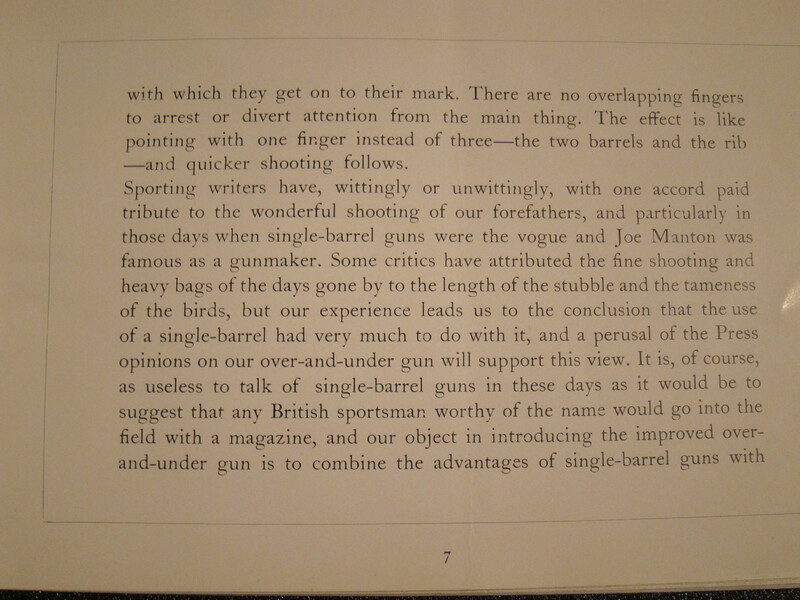 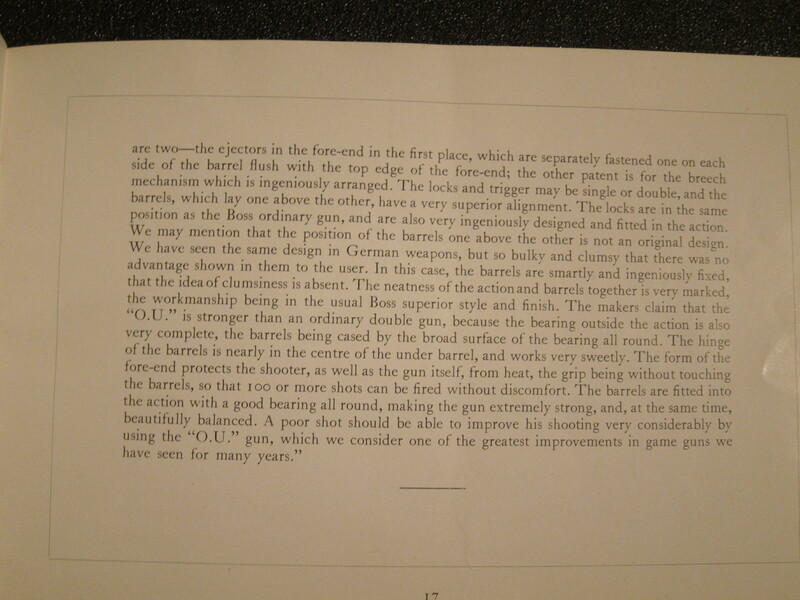 By 1894, he had successfully demonstrated the single trigger on a side by side to the sporting press in London. 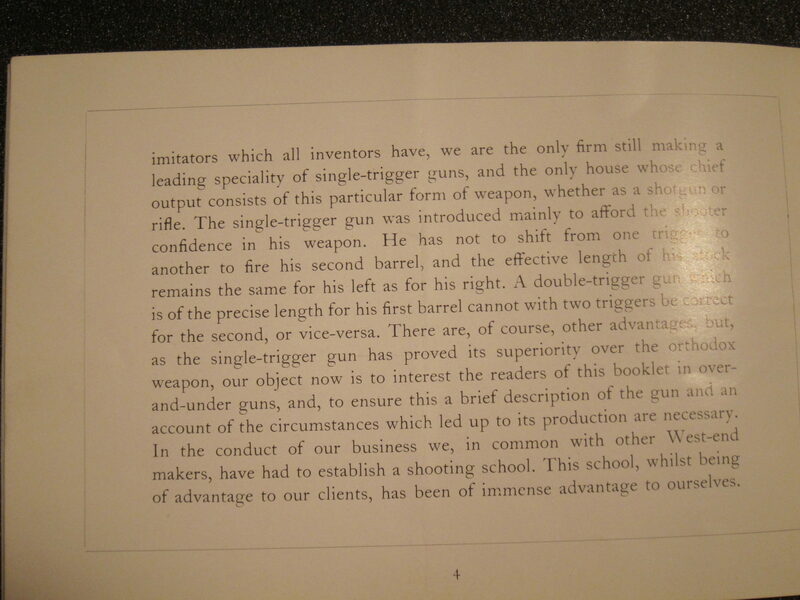 Still, Robertson must have felt that he needed to do more in order to validate his single trigger. 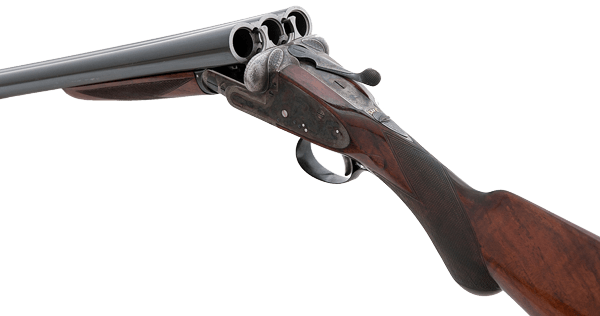 Thus, over a two-year period, he set about building a 12-bore prototype, triple-barrel, SxSxS shotgun that relied on the single trigger. 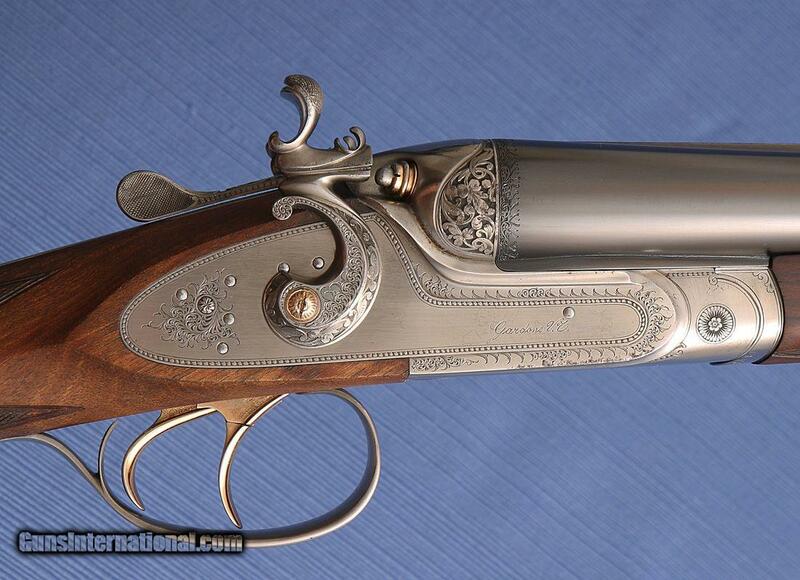 Understandably, it is extremely difficult and expensive to make such a gun. 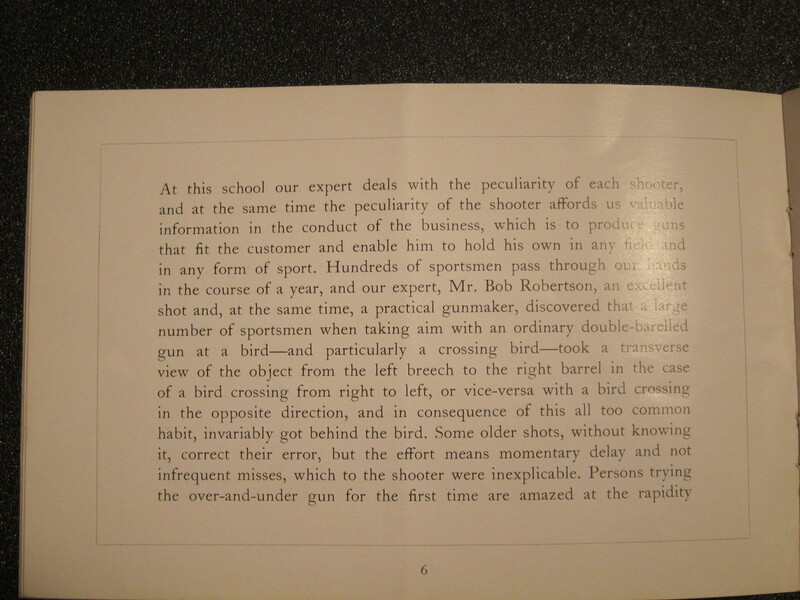 Nonetheless, it was Robertson’s way of “cocking a snoot” at the London gun trade who had been trying to verbally undermine the flawless operation of the Boss single-trigger system. 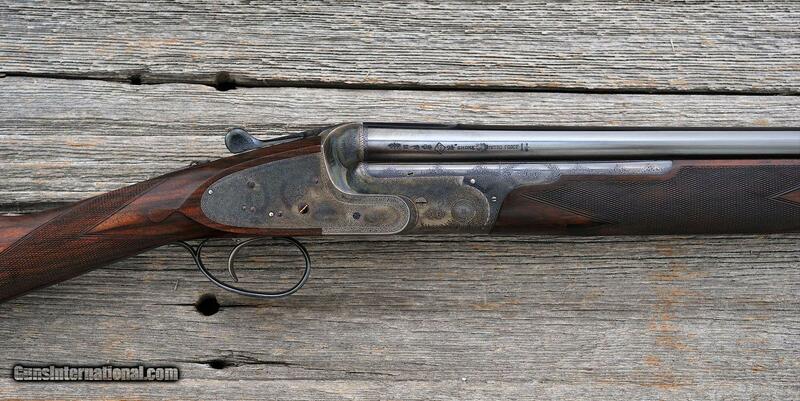 The first SxSxS prototype of the Boss & Co. was a 12-bore built in 1898 with serial number 4605. 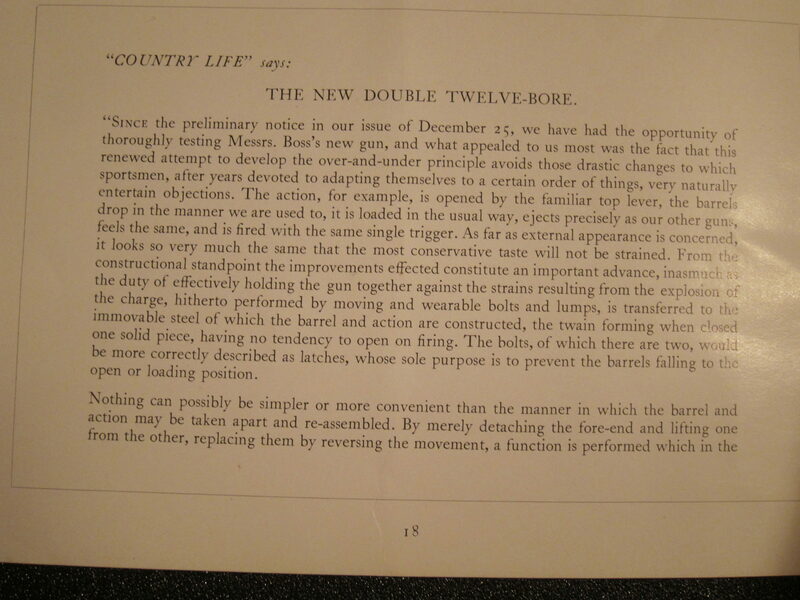 Since it was never actually ordered, no reference appears in the Boss Order Ledgers. 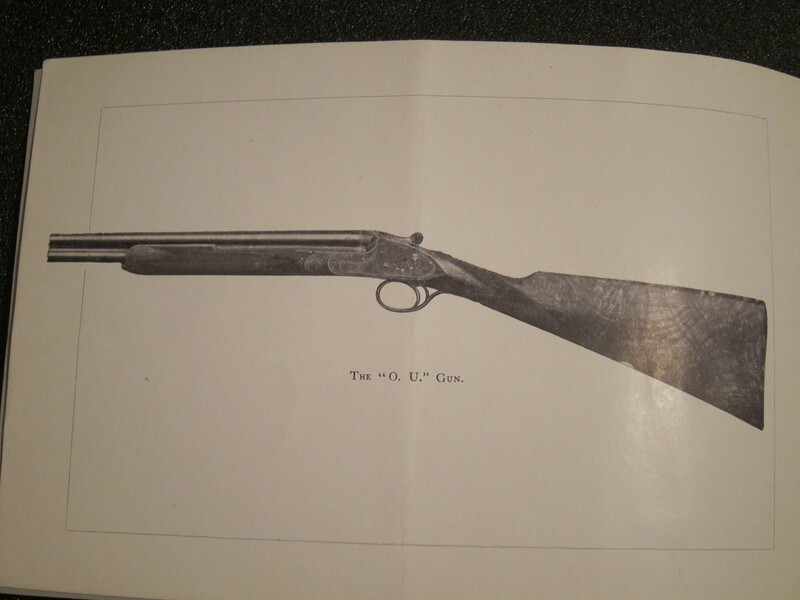 Number 4605 was subsequently sold to a Mr. Herbert Lawton on July 3, 1922 (24 years later). 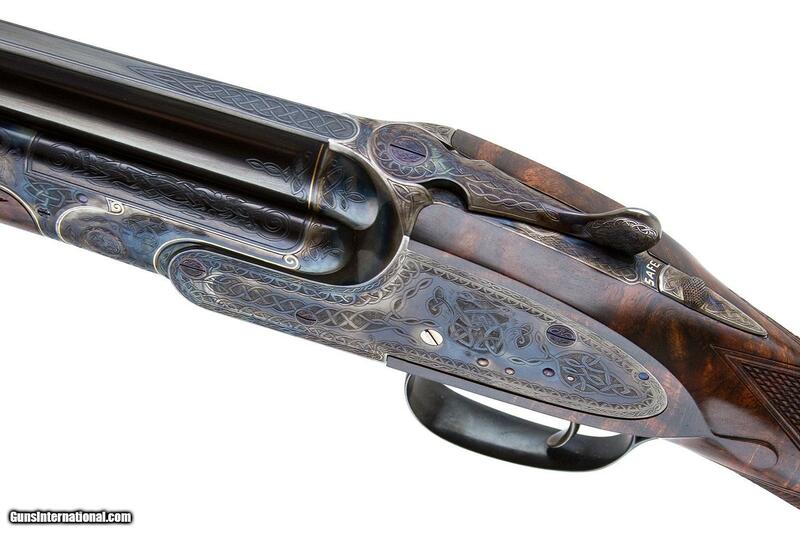 Mr. Roy Lyu, former General Manager of Boss & Co, Best Gunmakers, reports it was lost in a house fire while in the custody of Lawton. 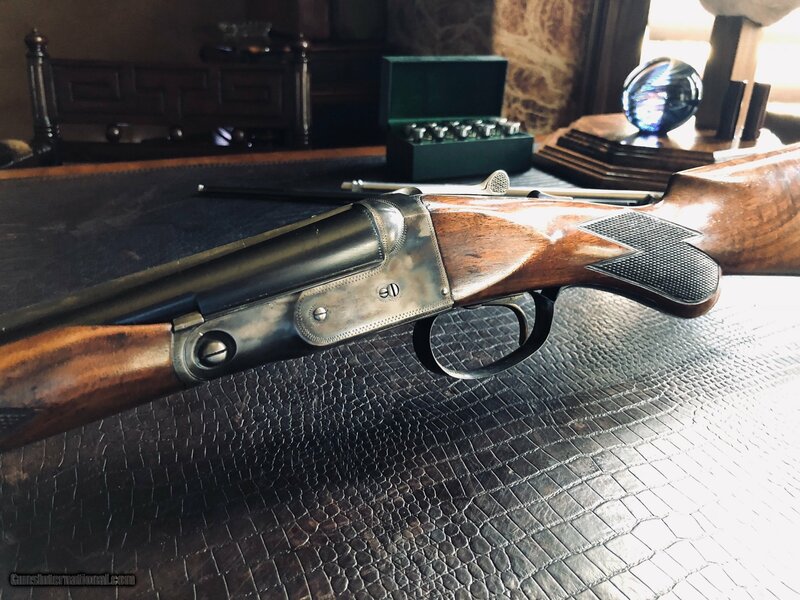 On July 3, 1899 Boss & Co. was commissioned by Signor W. Baldi of Florence, Italy to build a 16 bore SxSxS shotgun that fired with the famous, patented single trigger design concomitant with the Boss & Co name. 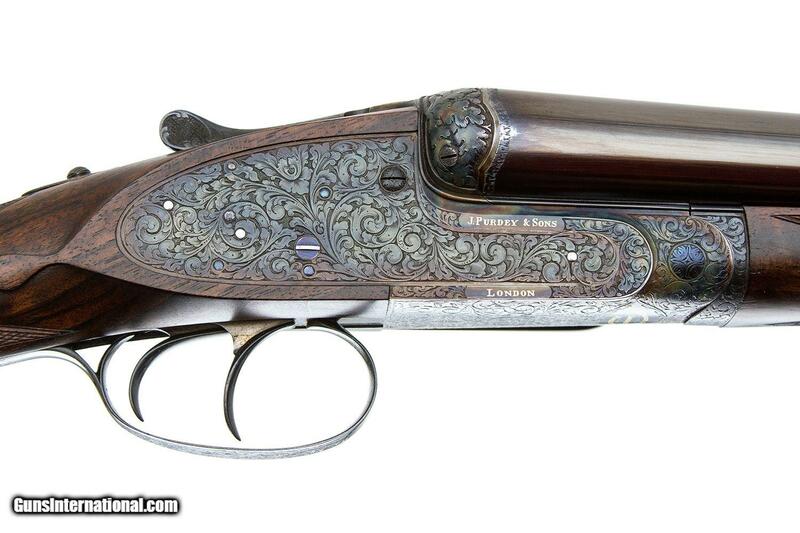 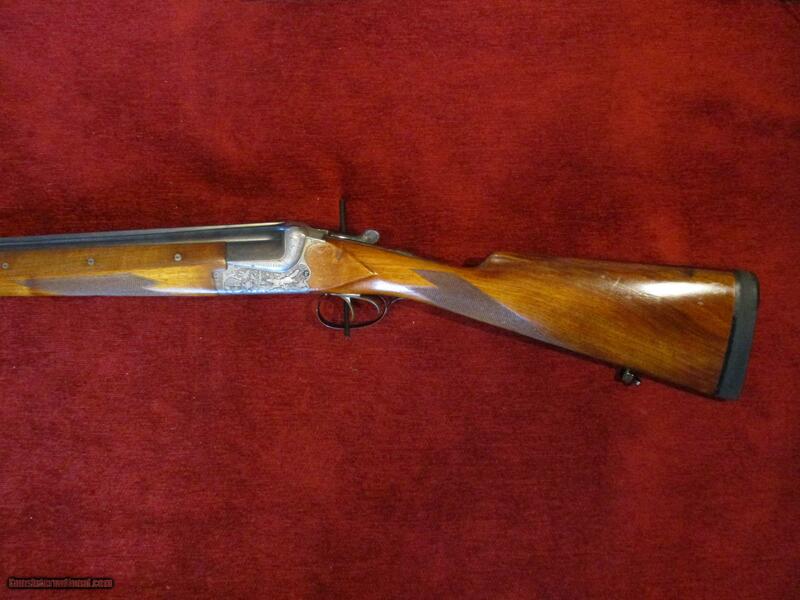 This gun was completed on June 21, 1901 bearing serial number 4690. 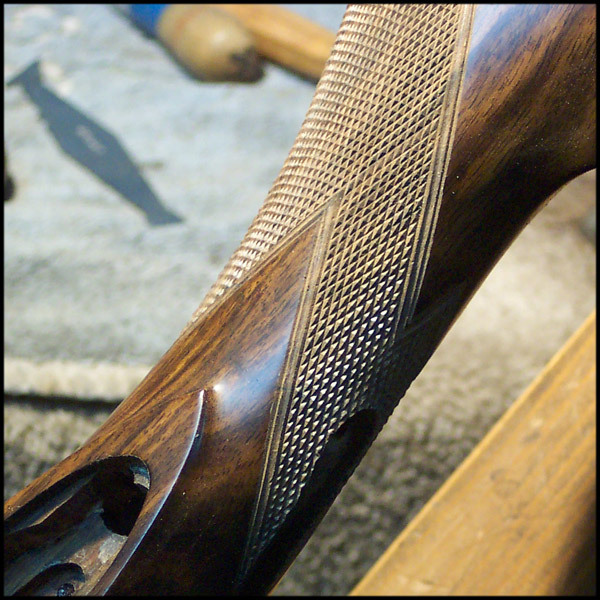 The length of delivery time confirmed the complexity of the build process. 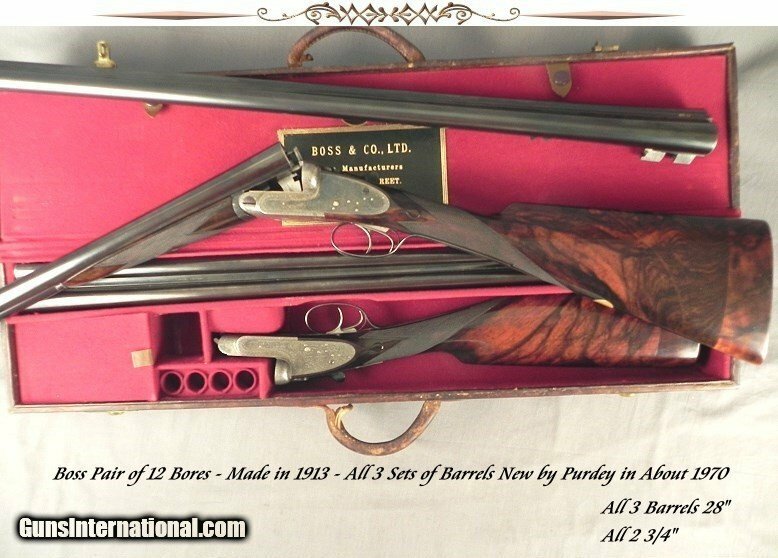 For more information, visit Griffin & Howe’s Three Barrel Boss page. 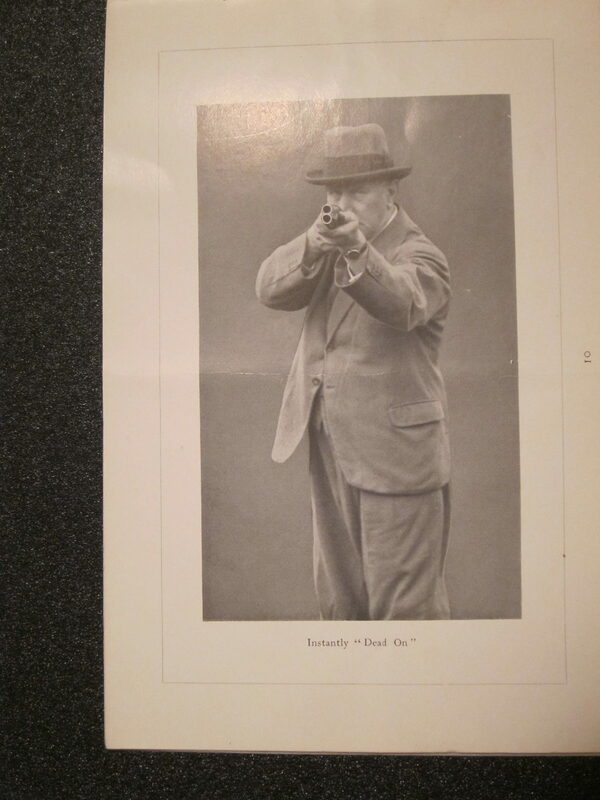 A friend sent me this pic. 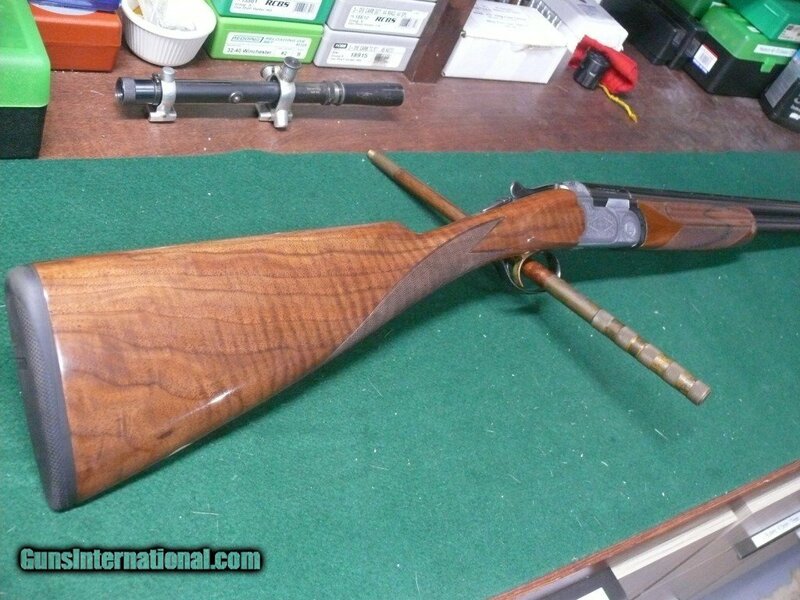 I felt sick when I saw it. 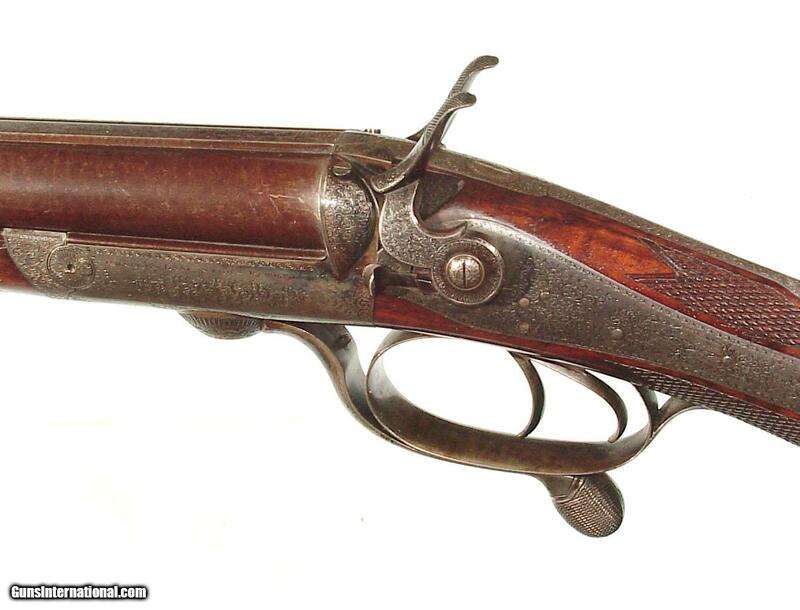 I can’t imagine how the gun’s owner feels. 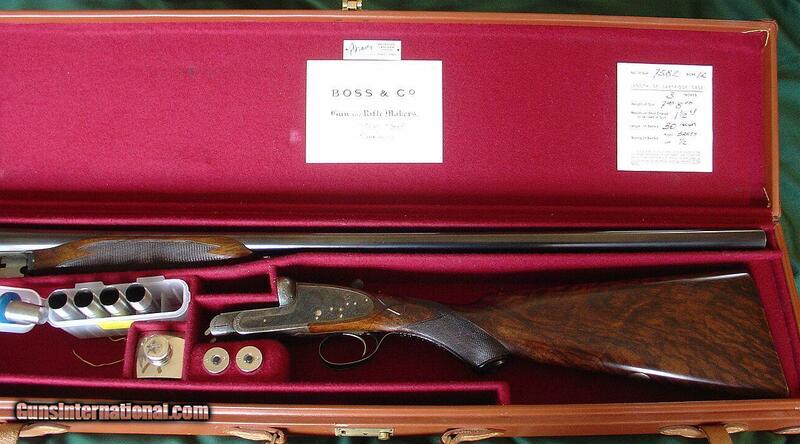 It’s vintage Boss & Co. SxS. 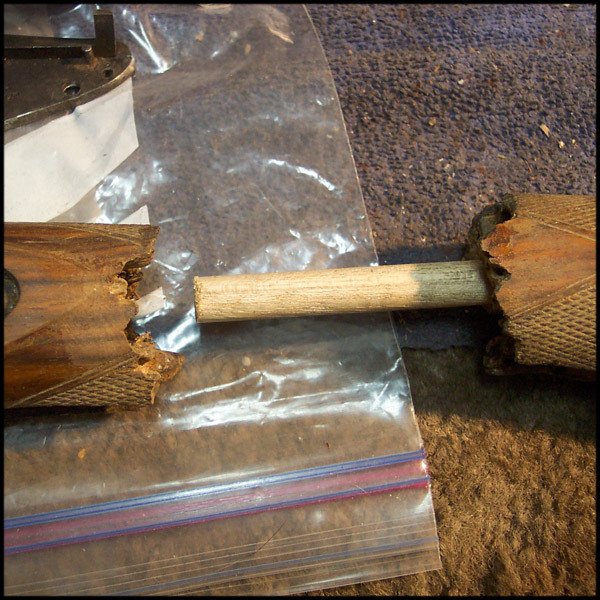 After a stumble and fall, the stock’s completely broken. 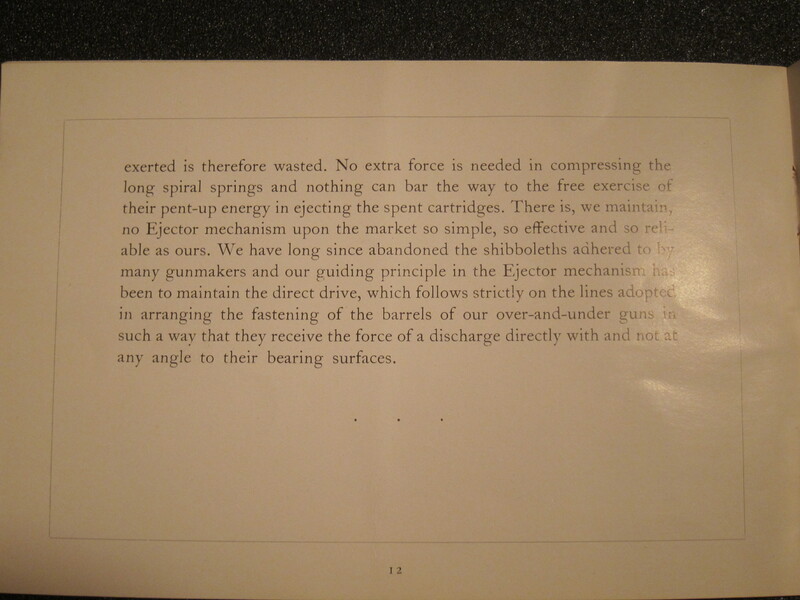 Fortunately, a good stockmaker can make it right again and even make the stock stronger than ever. 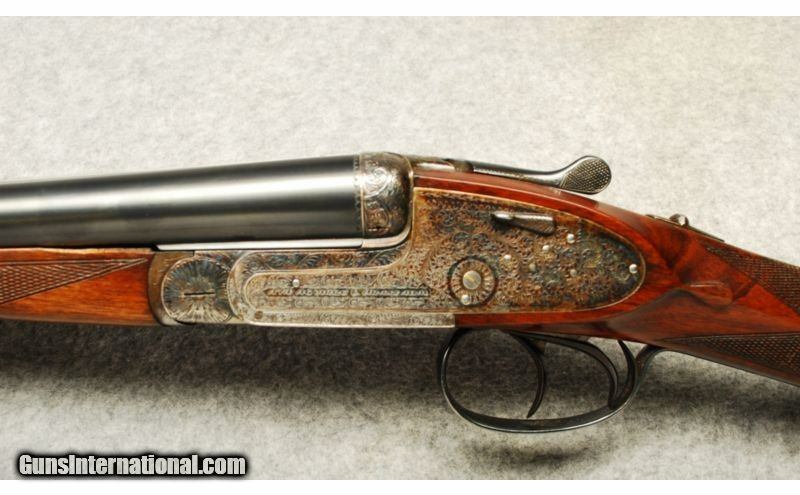 The images below are from www.thestockdr.com. 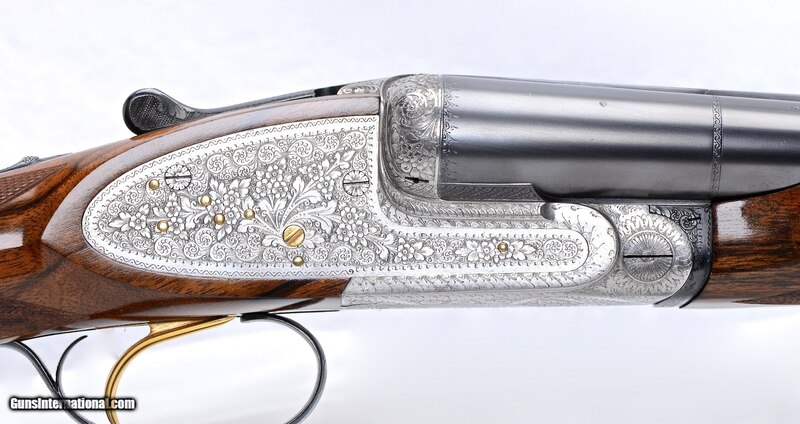 They show how some time and talent can make it look like the break was never there.